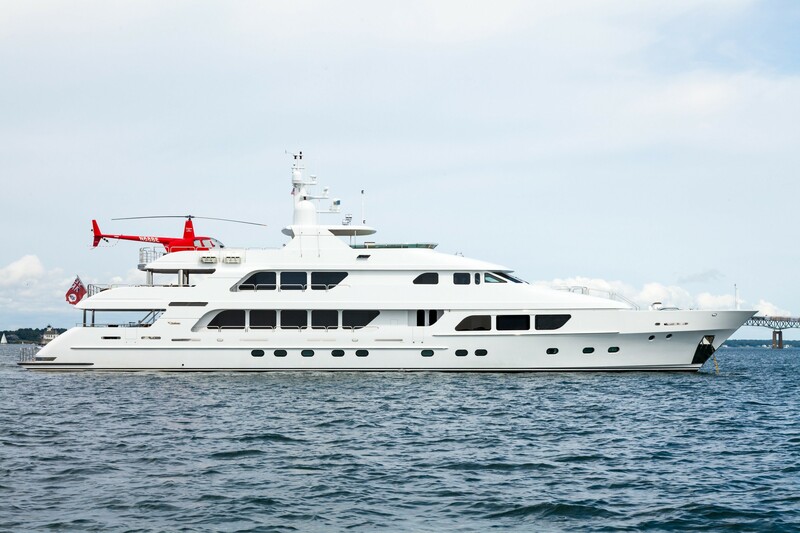 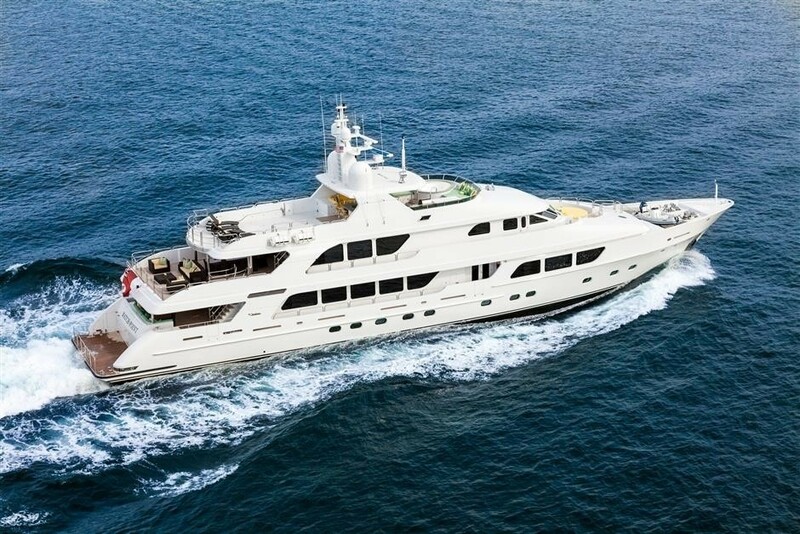 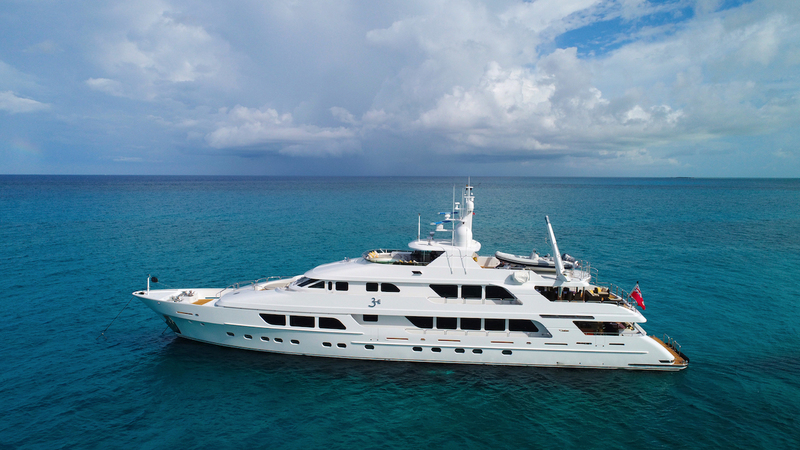 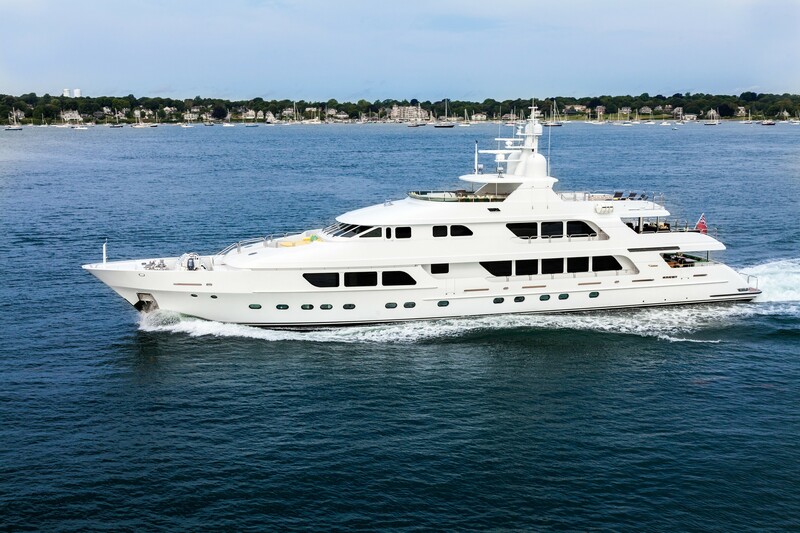 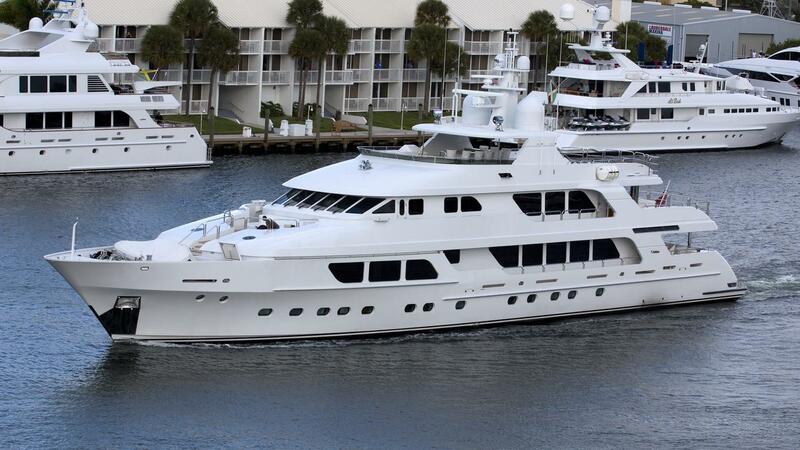 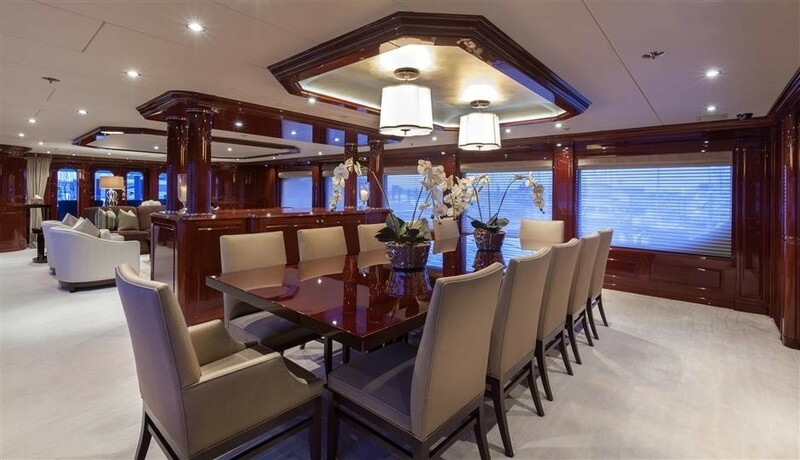 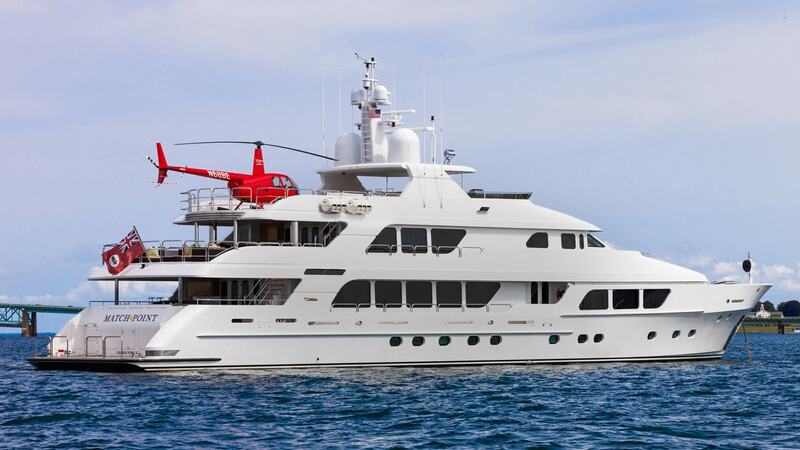 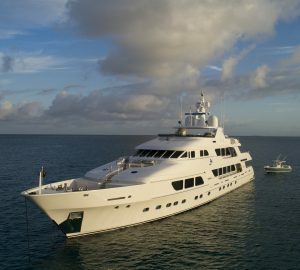 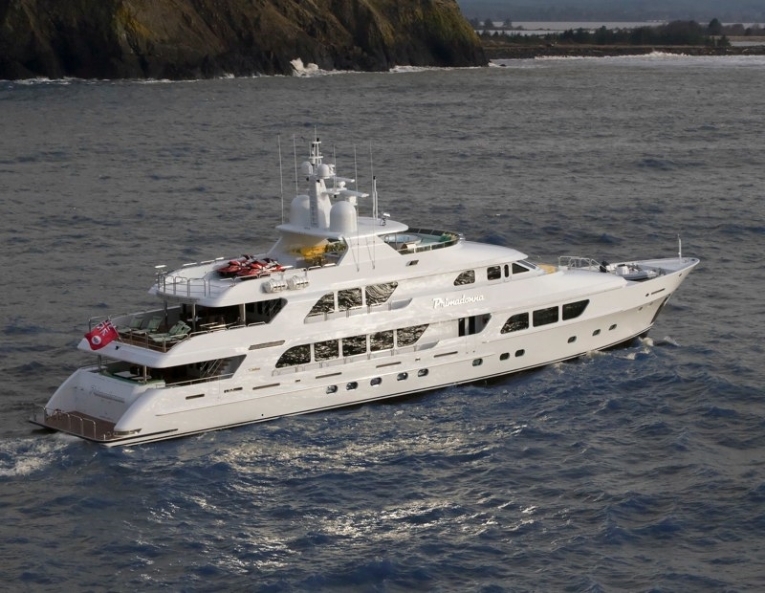 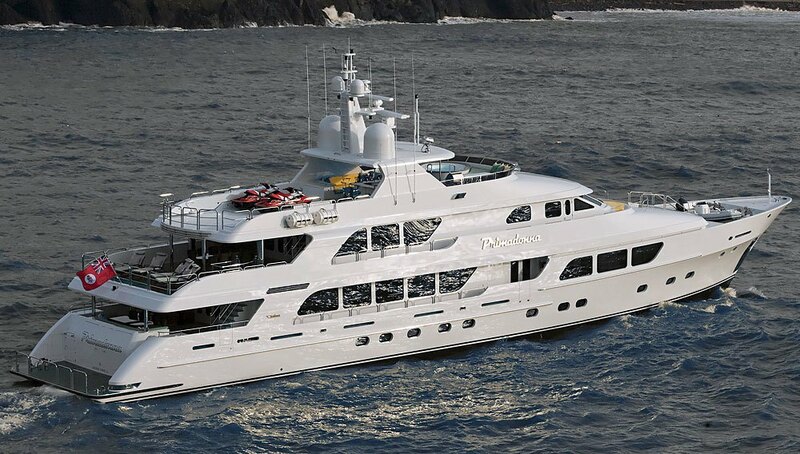 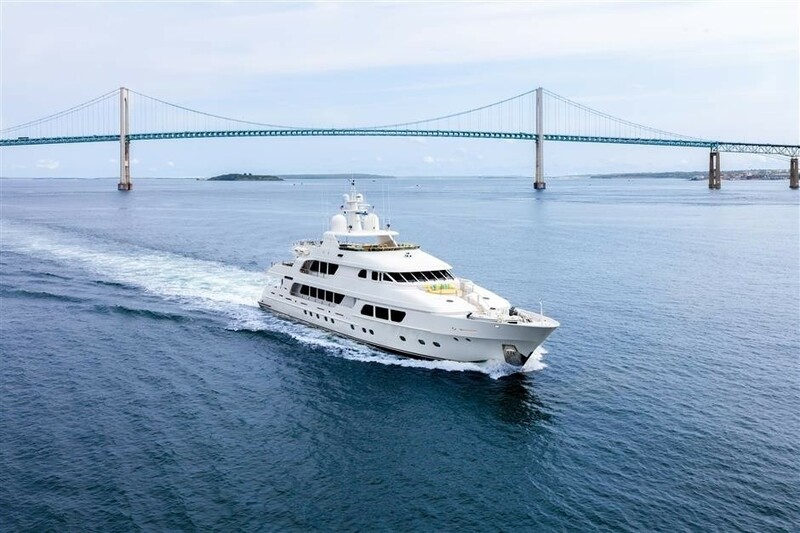 Motor yacht THREE FORKS (ex MATCH POINT, VF-15, PRIMADONNA) is a 2009 48.77m (160’) Christensen Yacht with Interior Designer by Carol Williamson & Assoc. 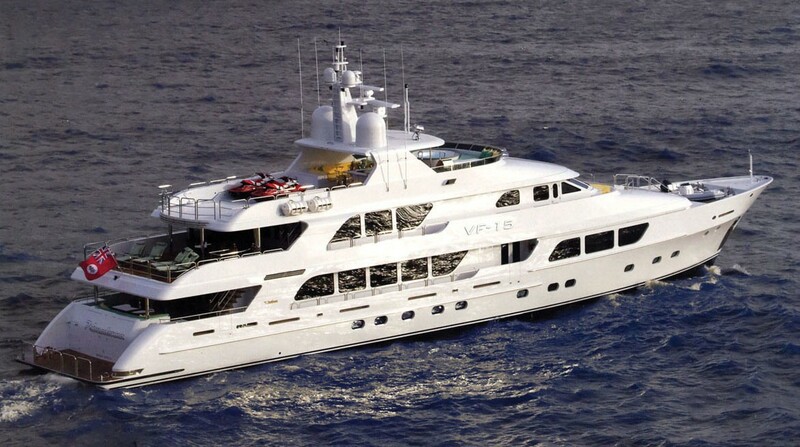 She can accommodate 12 guests in 6 cabins. 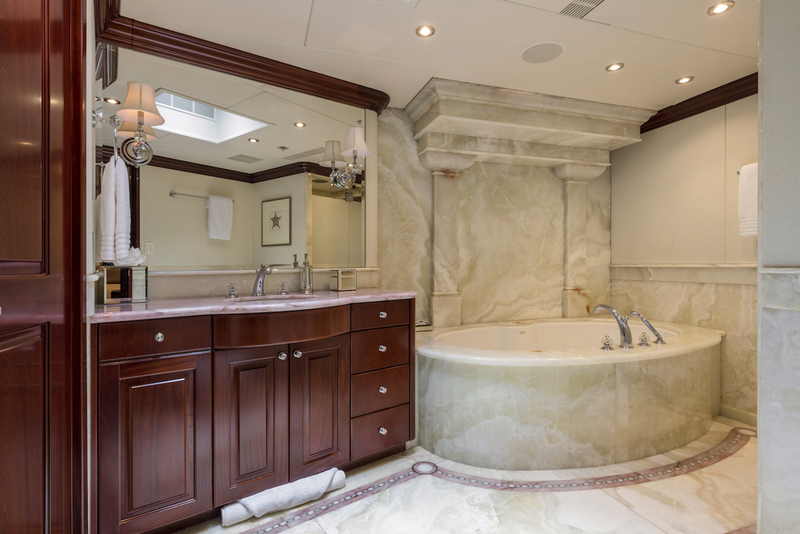 Embellished with luxurious materials, such as marbles, woods, and opulent fabrics, the Christensen-designed interior has a welcoming atmosphere. 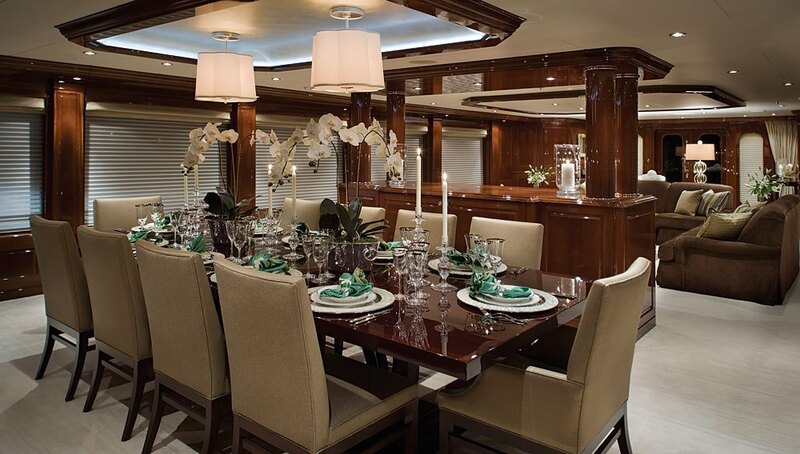 The main salon features a formal dining table for 14 guests, as well as a spacious lounge. 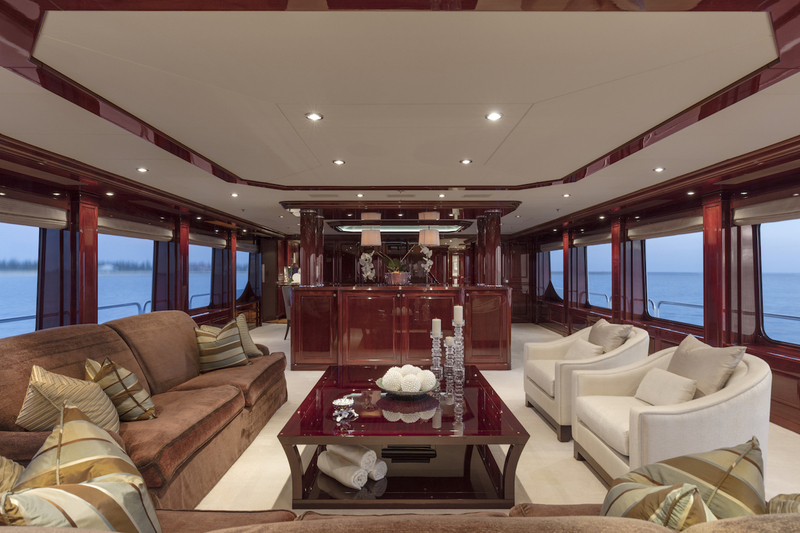 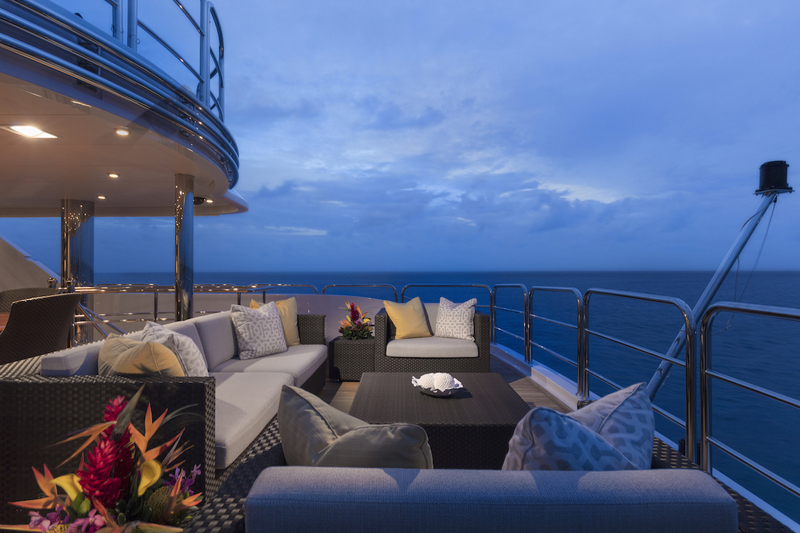 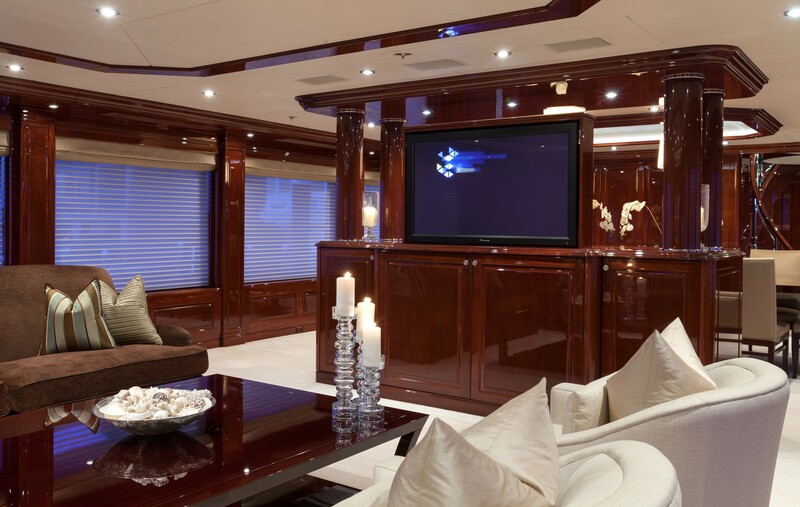 On the upper deck, there is sky lounge with ample seating, games table, wet bar and wide windows. 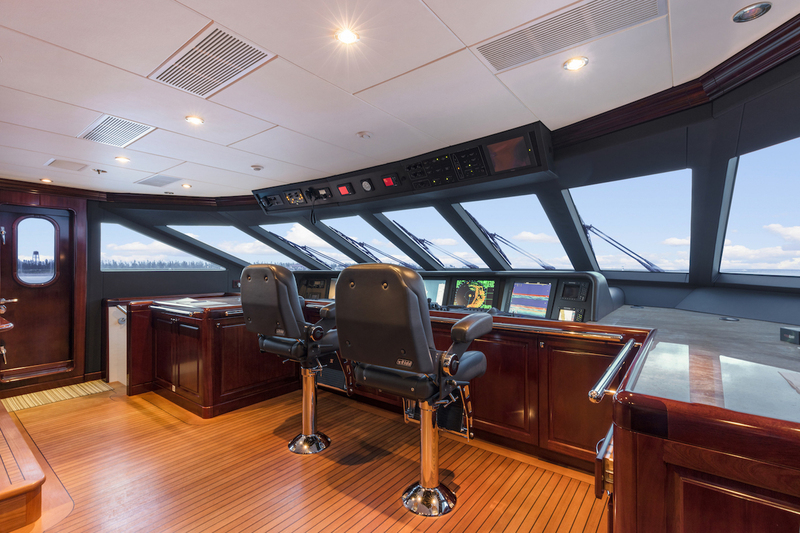 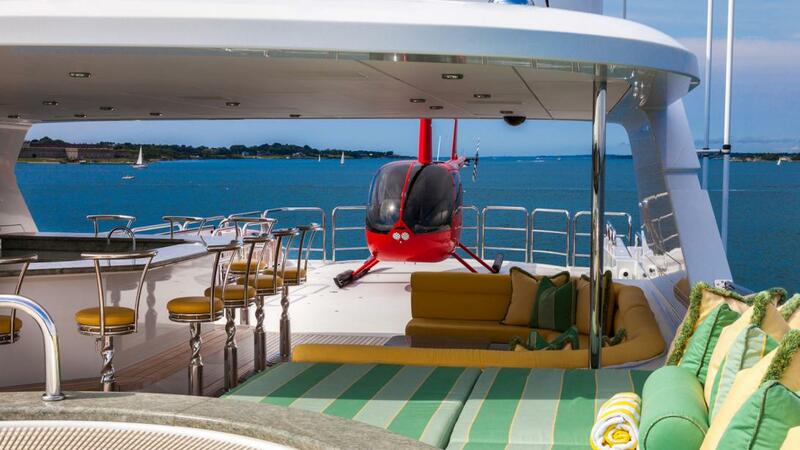 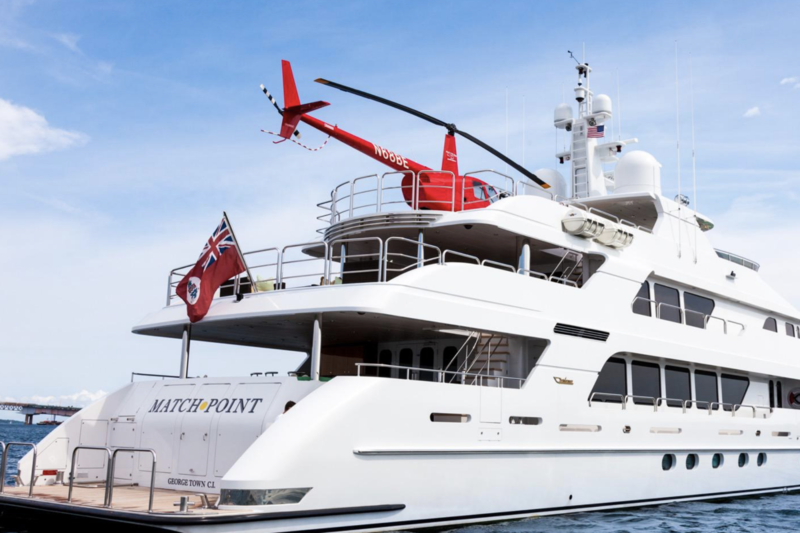 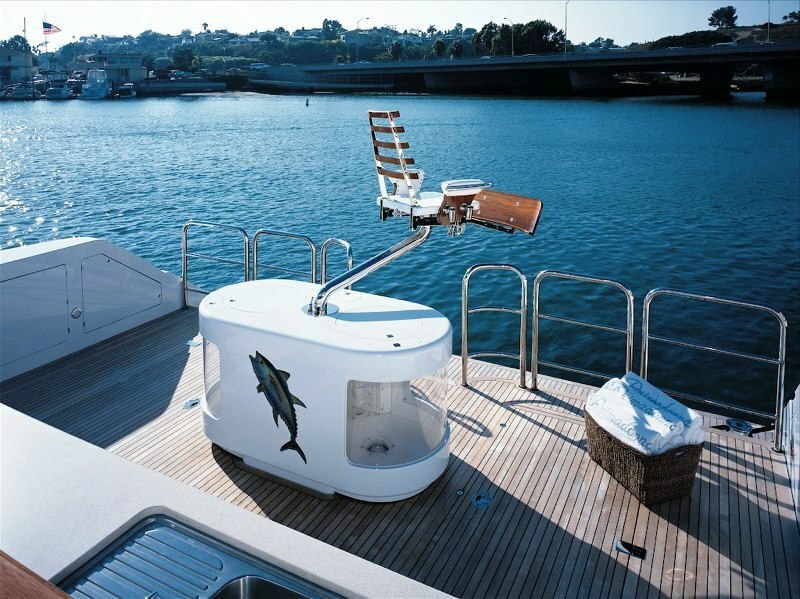 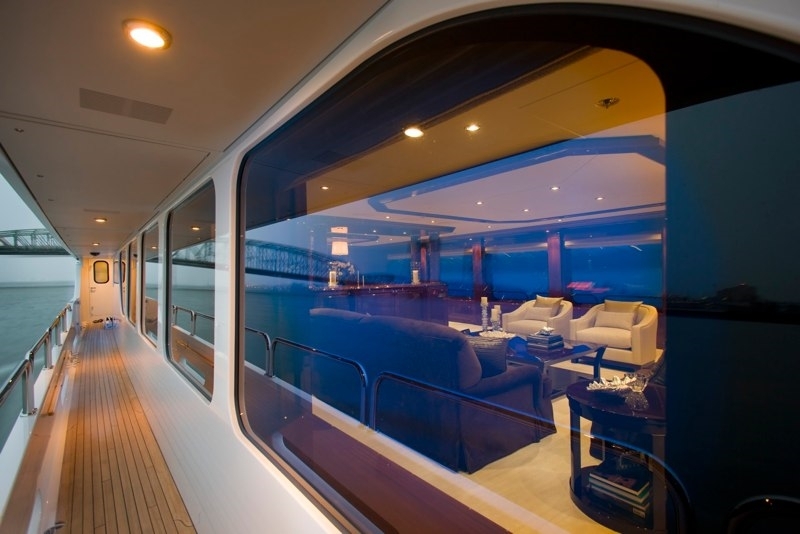 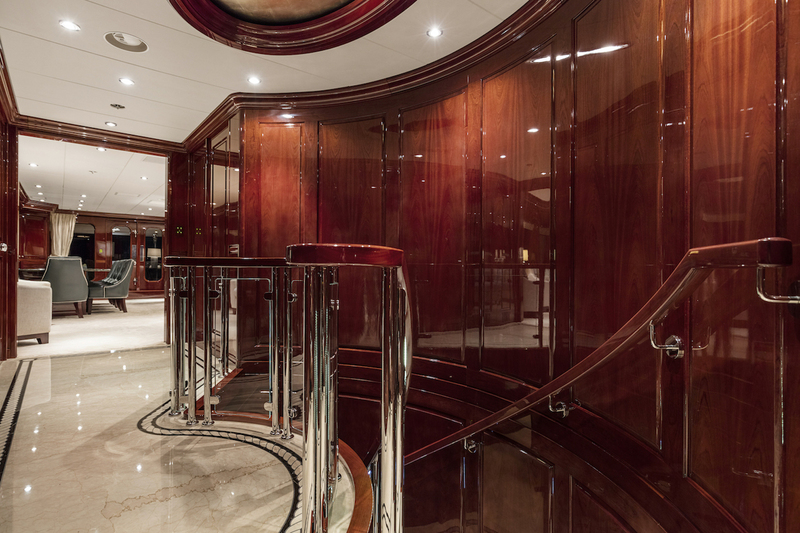 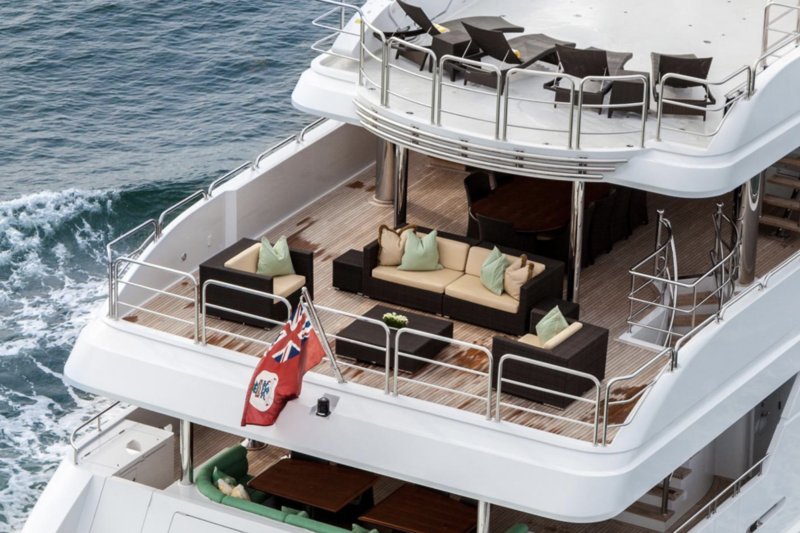 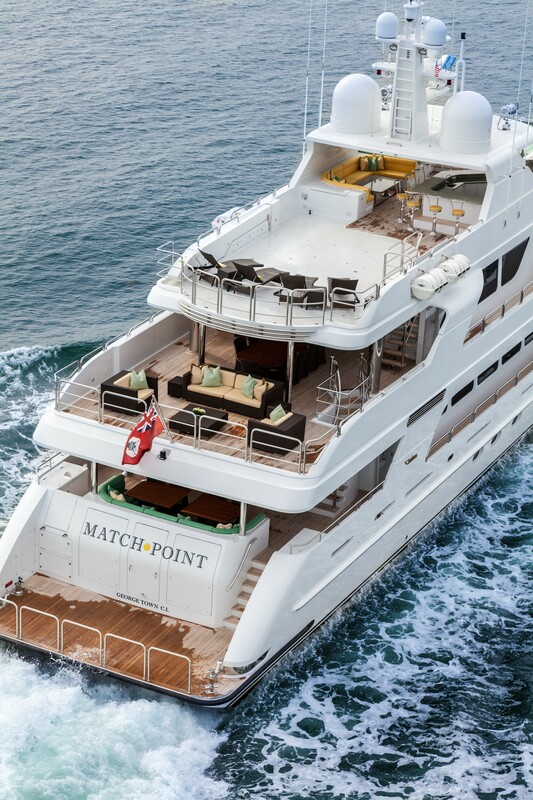 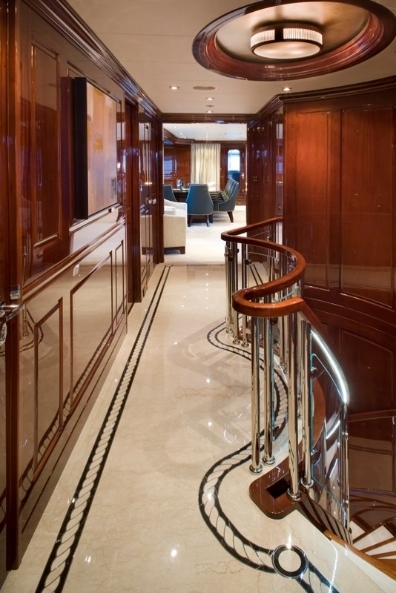 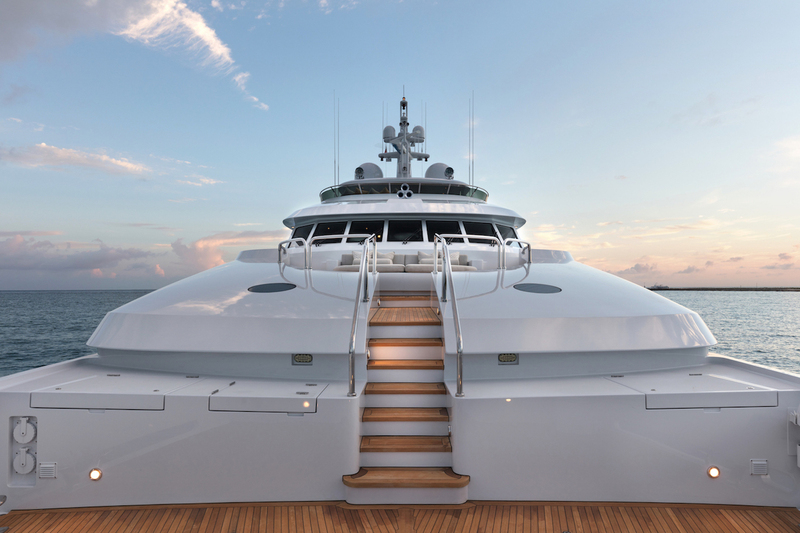 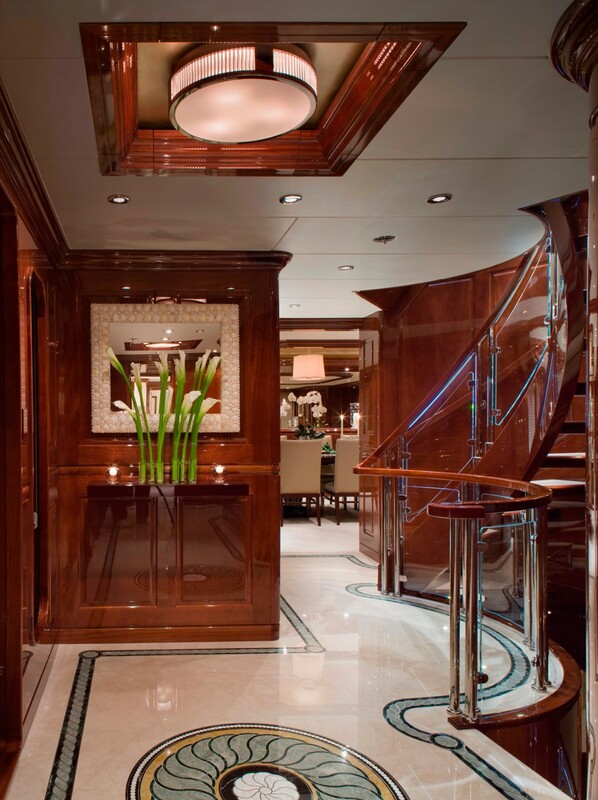 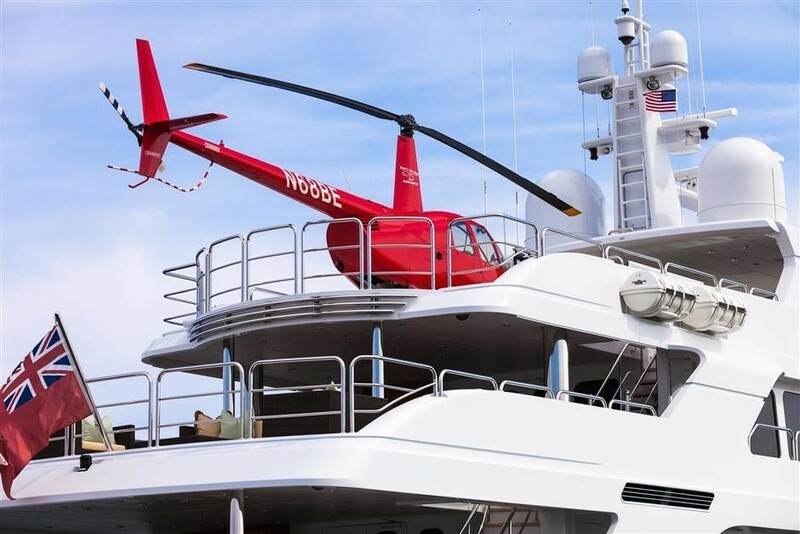 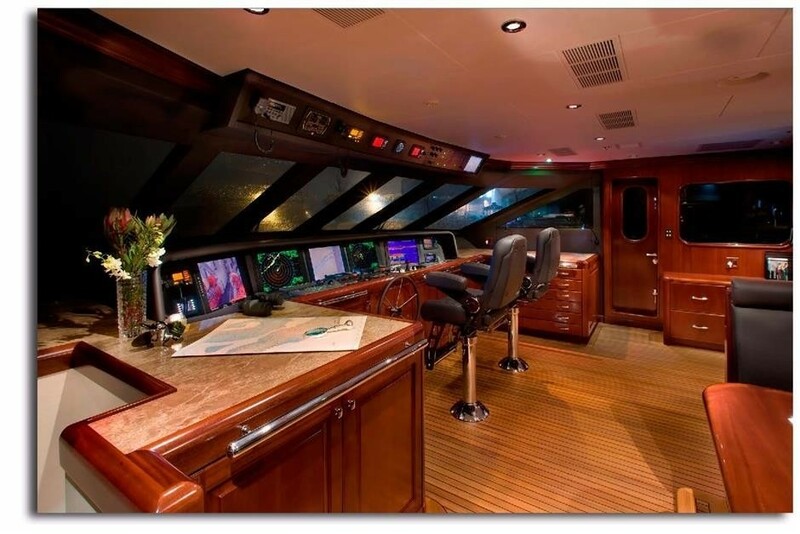 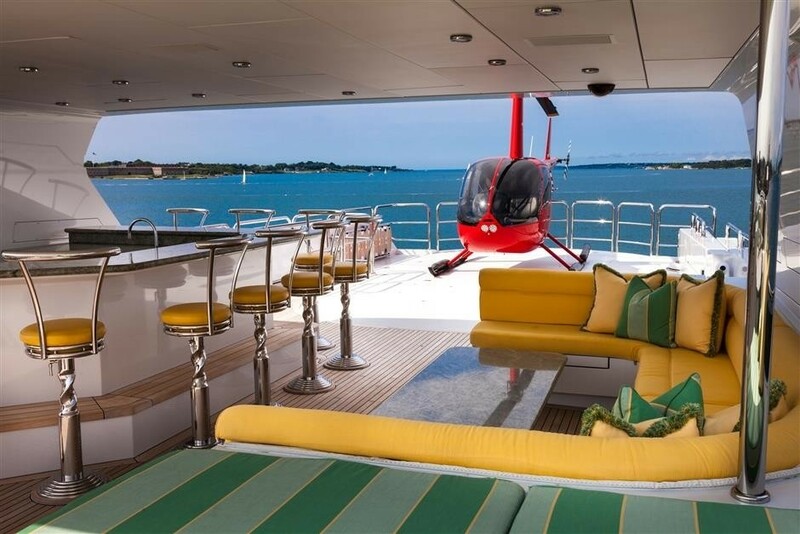 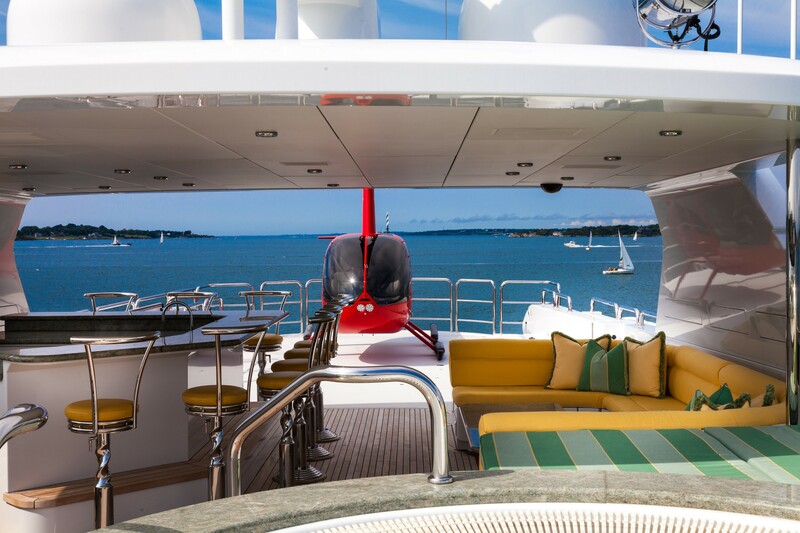 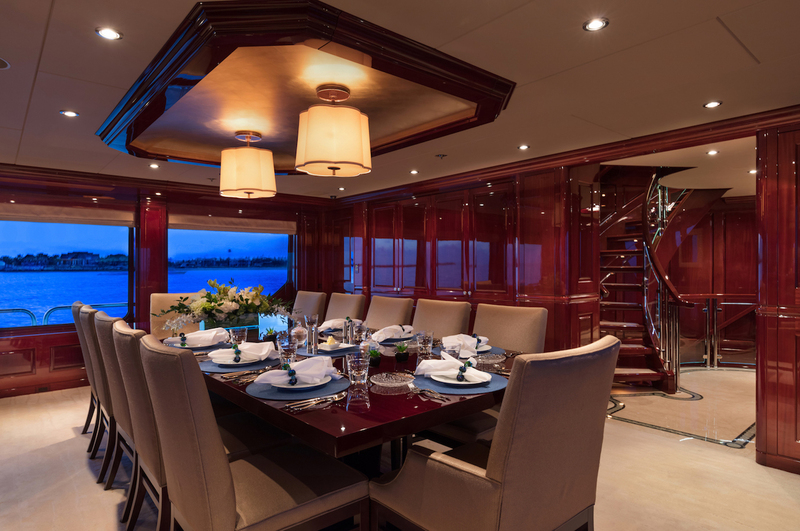 One of the main features is the elevator, which connects all decks, making it easy to get around this luxury superyacht. 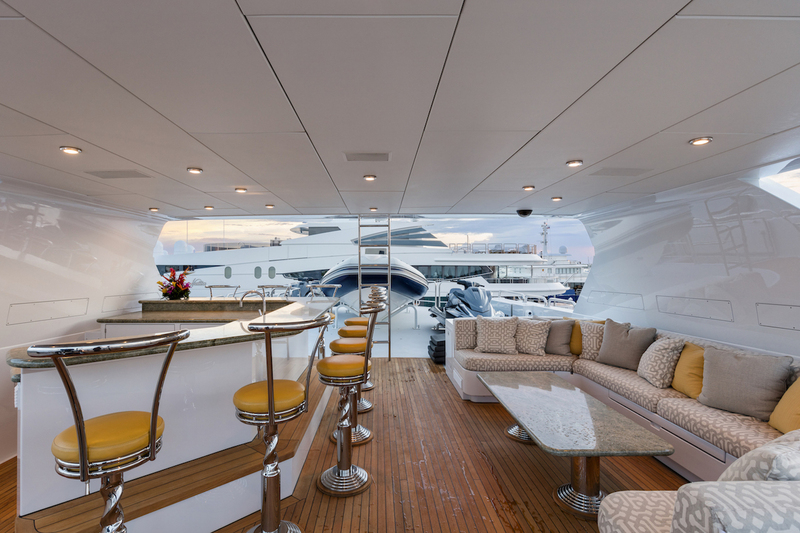 Spanned over three decks, the exterior living spaces are great for entertaining and recreation. 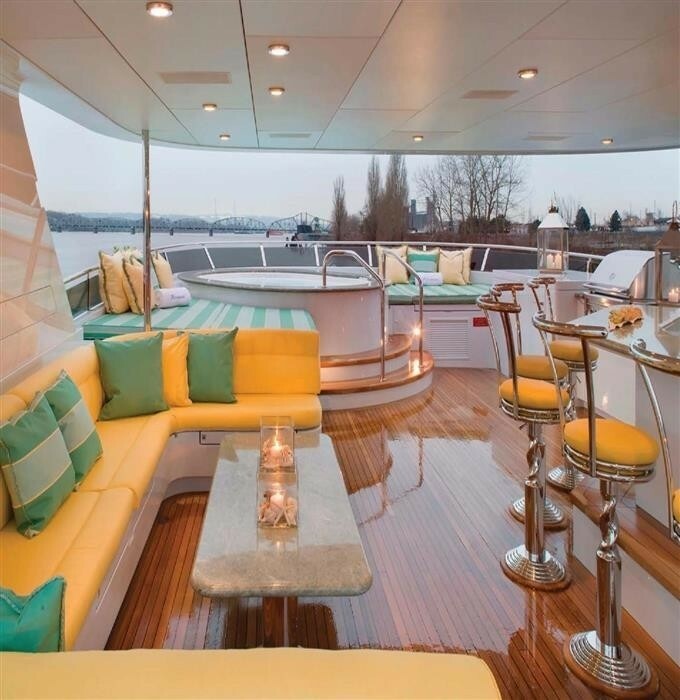 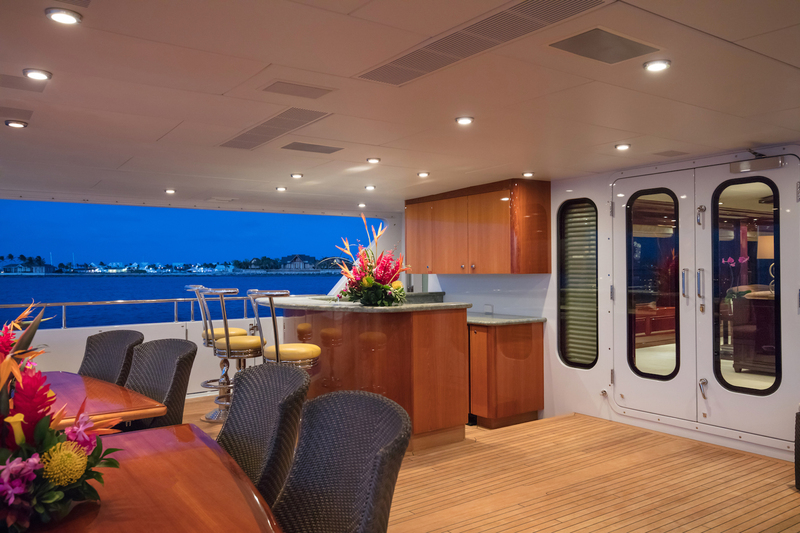 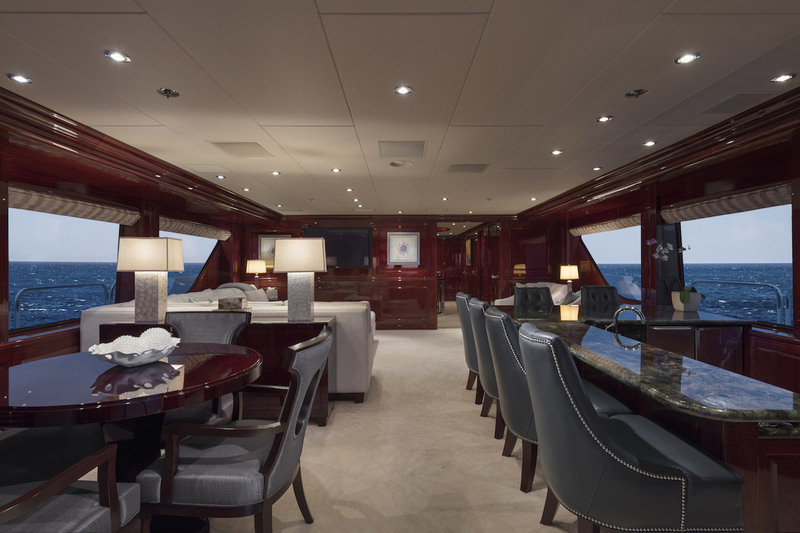 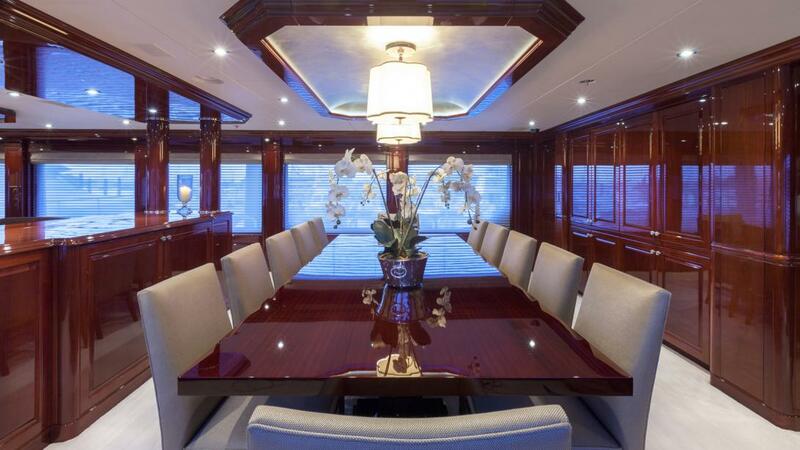 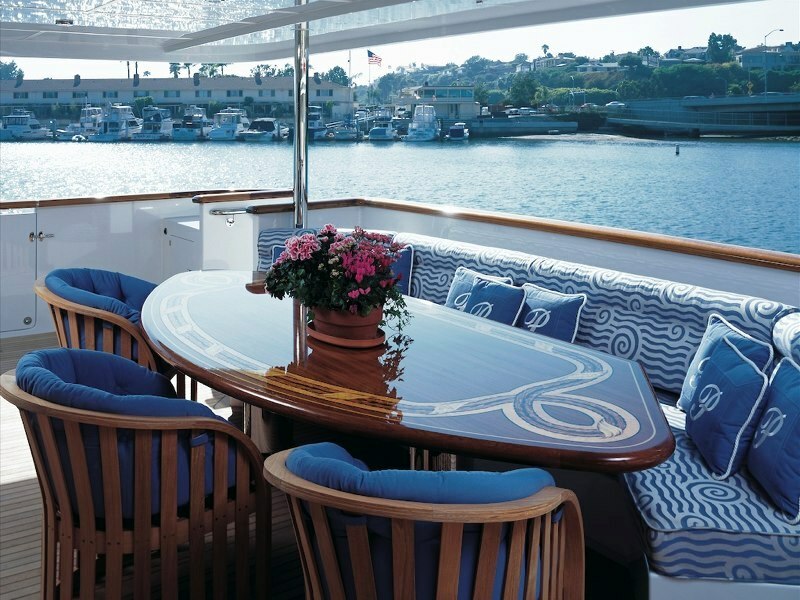 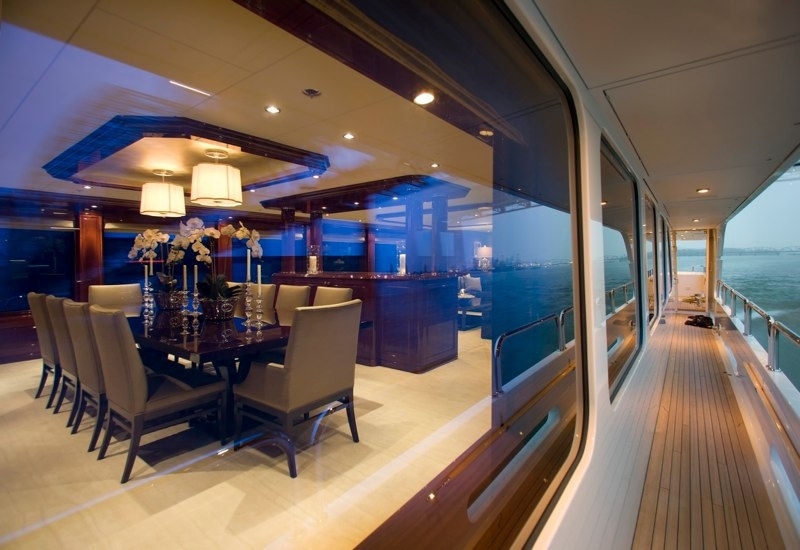 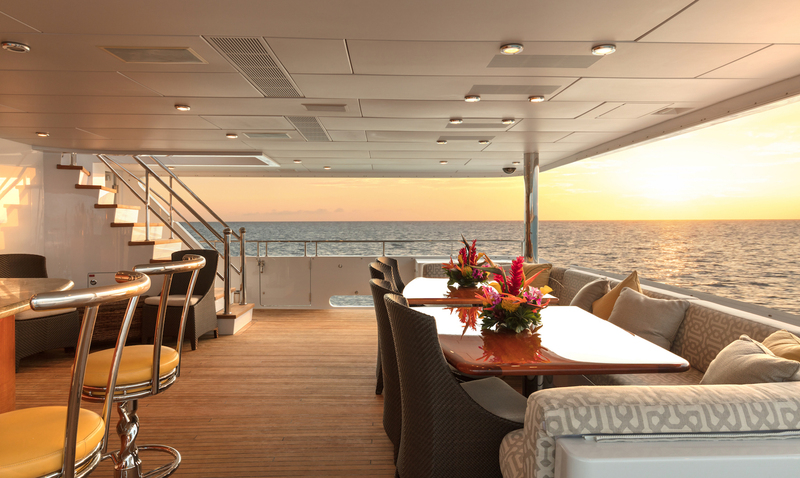 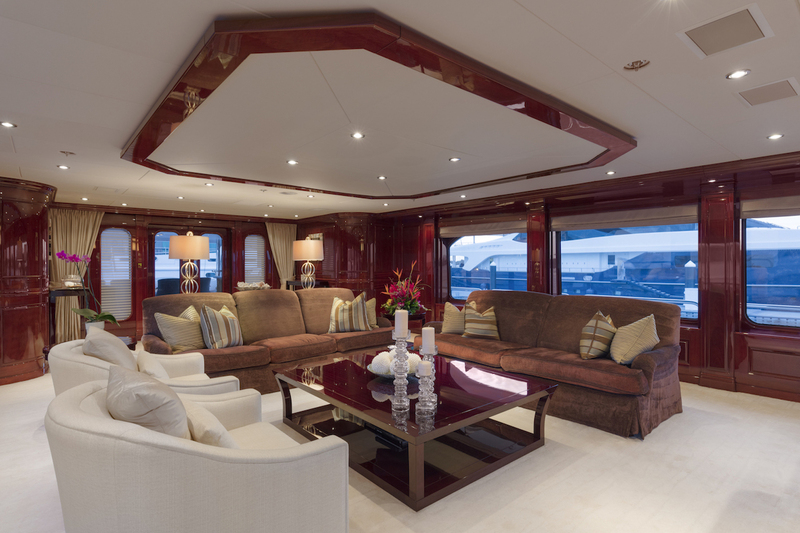 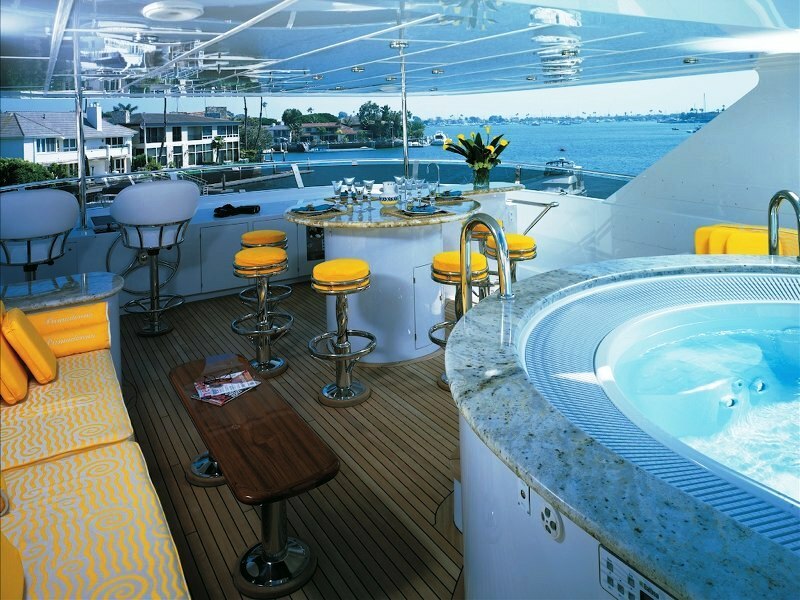 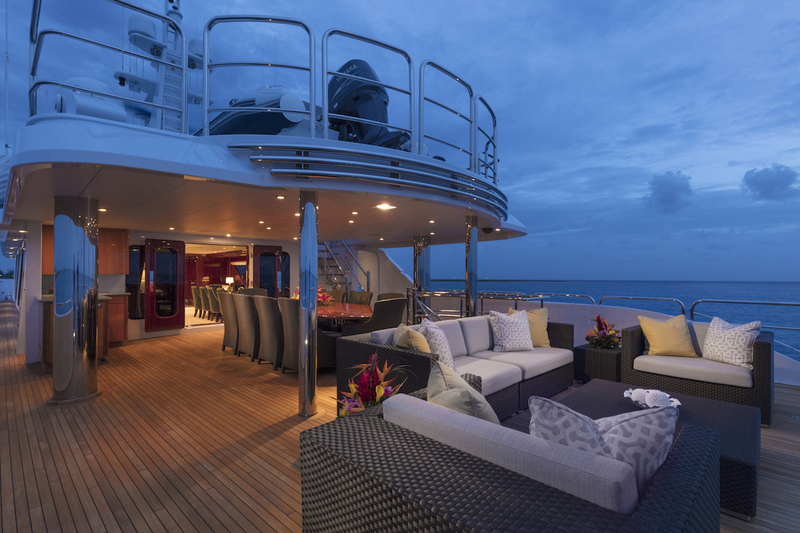 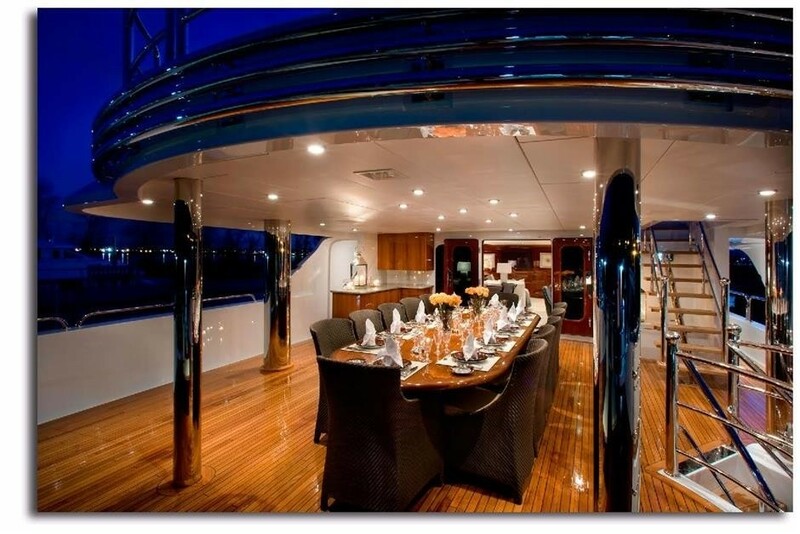 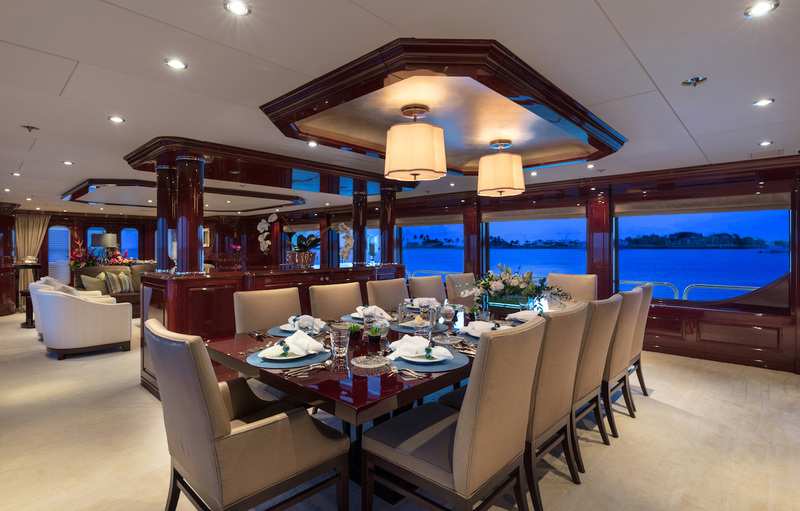 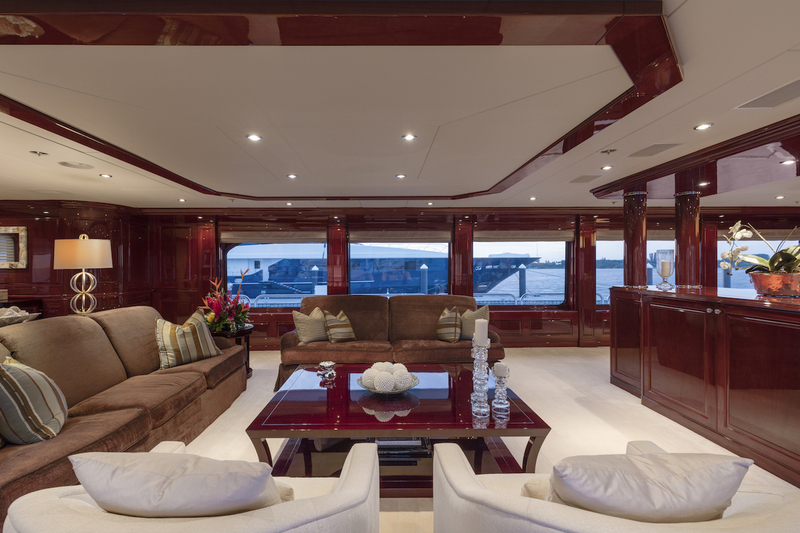 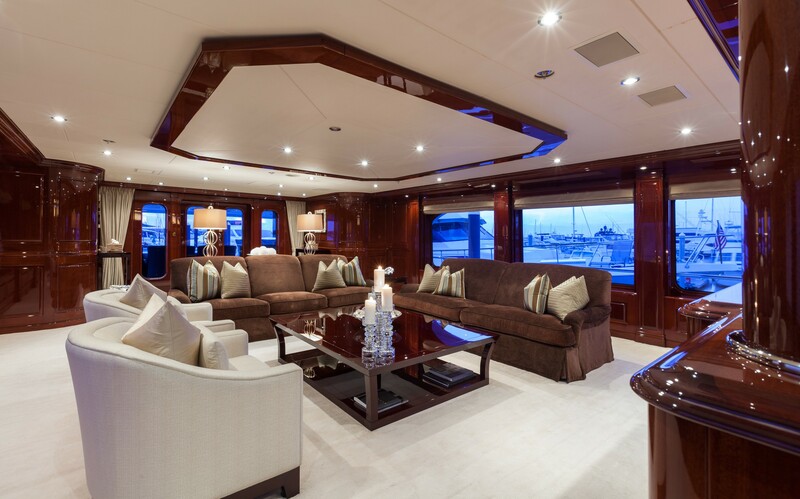 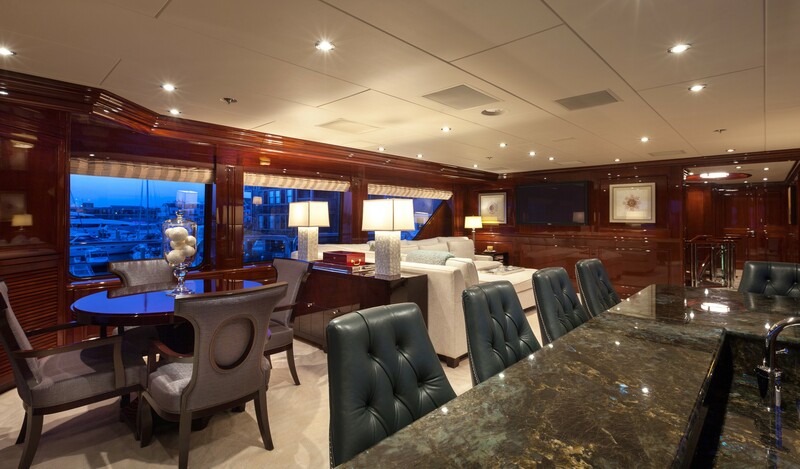 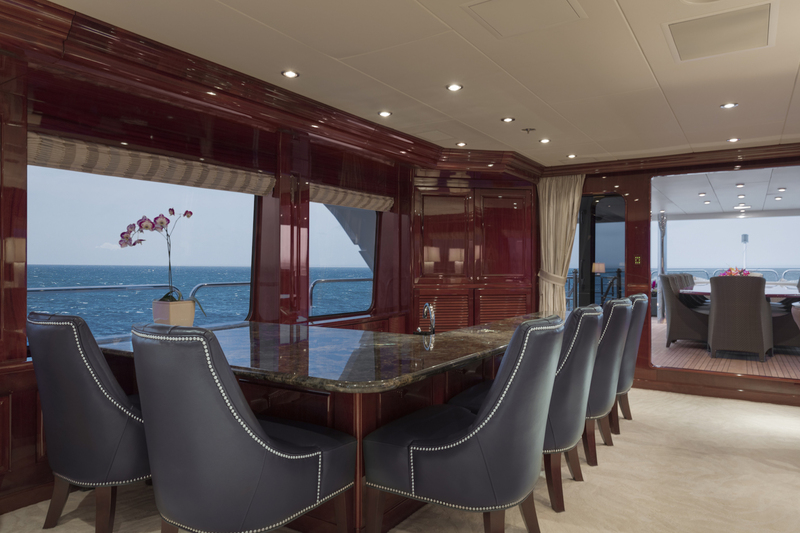 The main deck aft hosts a shaded area with a dining table and access to the swim platform. 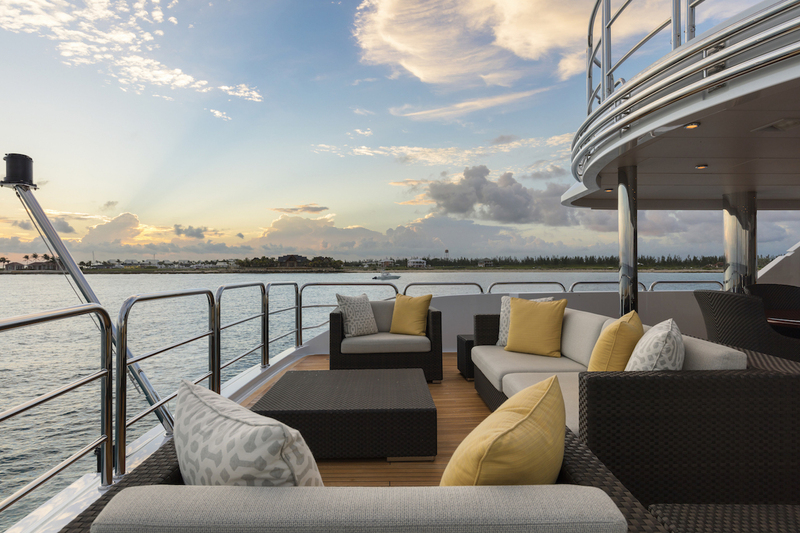 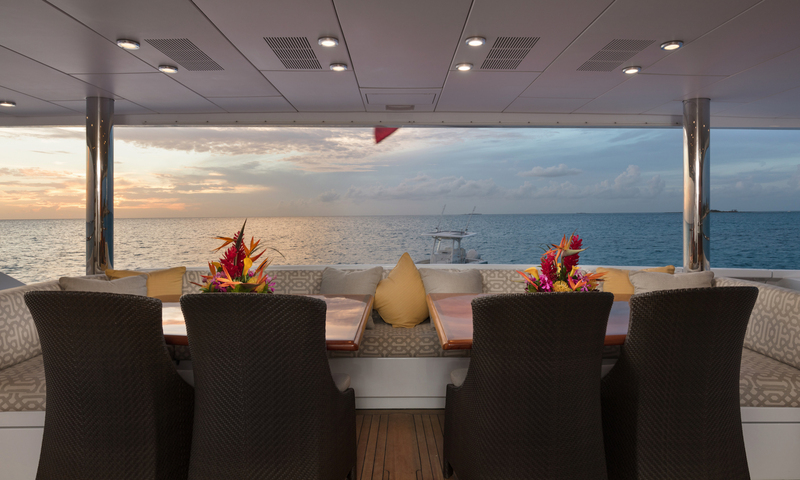 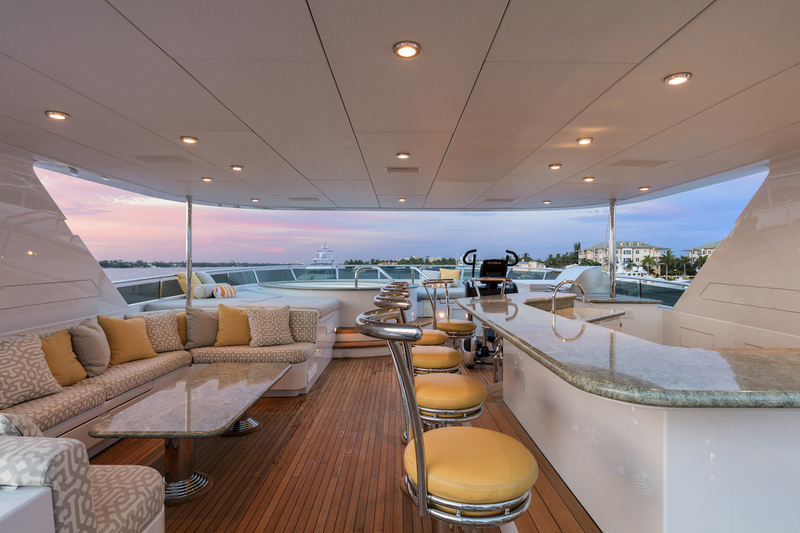 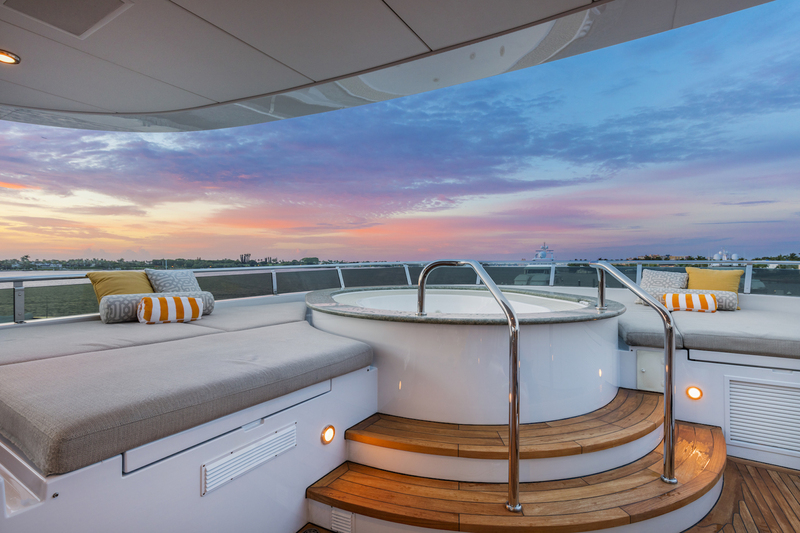 The upper deck aft is a superb area for enjoying the sunshine, relax in the Jacuzzi or sip so drinks at the wet bar, while enjoying the views. 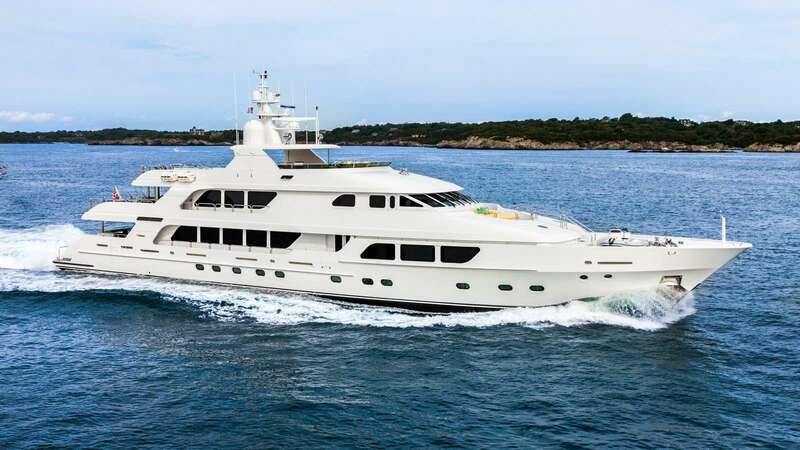 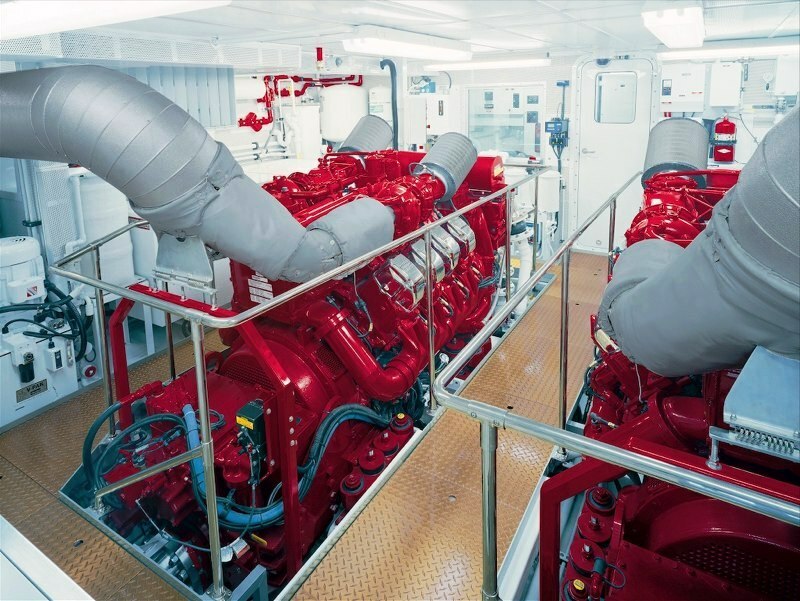 Being a modern semi-displacement composite motor yacht by Christensen yachts, she has a relatively fast cruising speed of 14 knots and a maximum speed of 18. 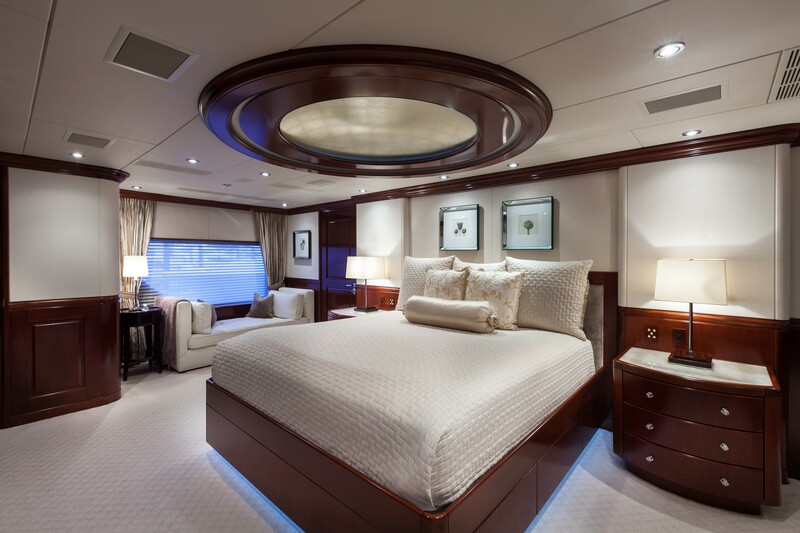 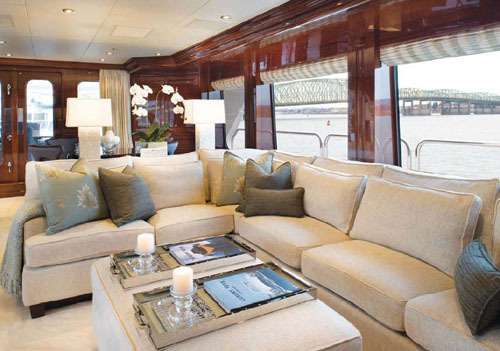 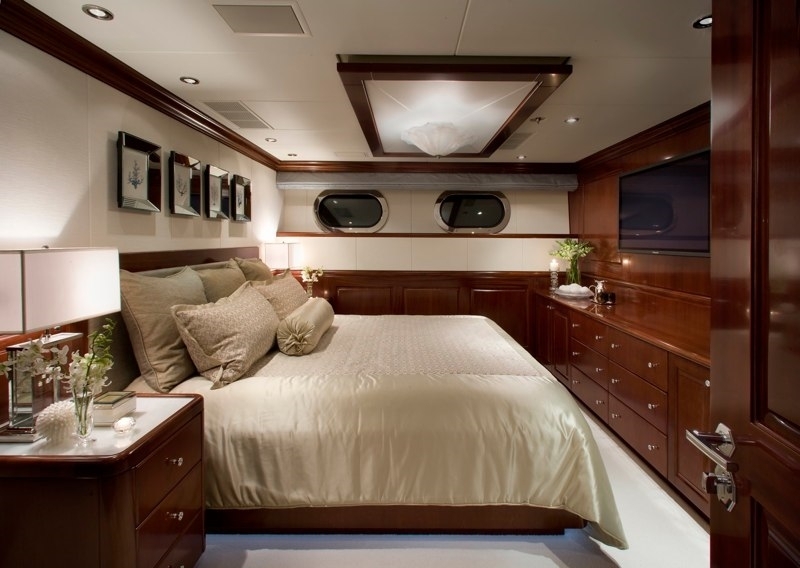 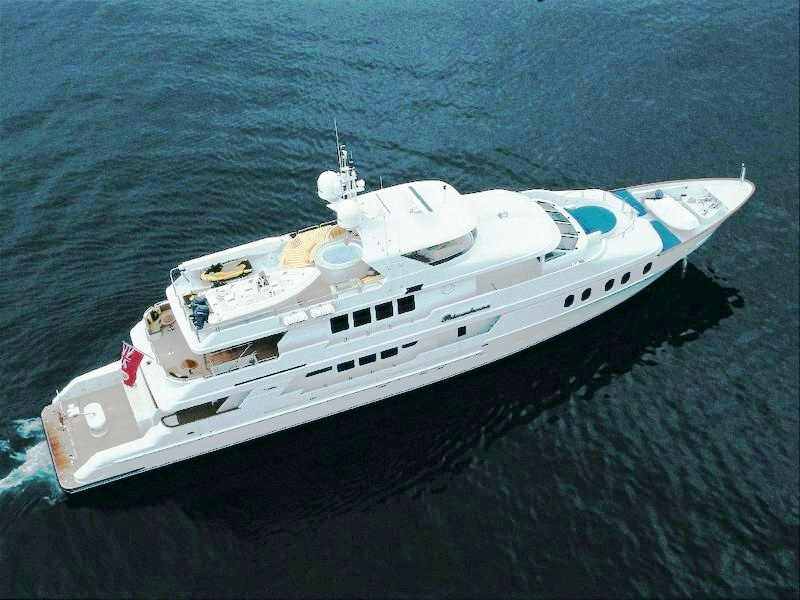 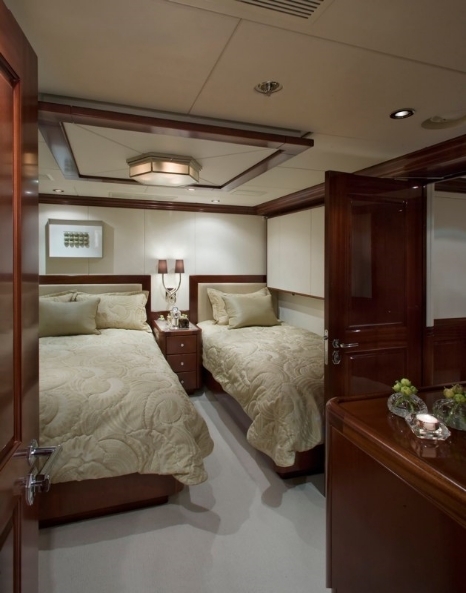 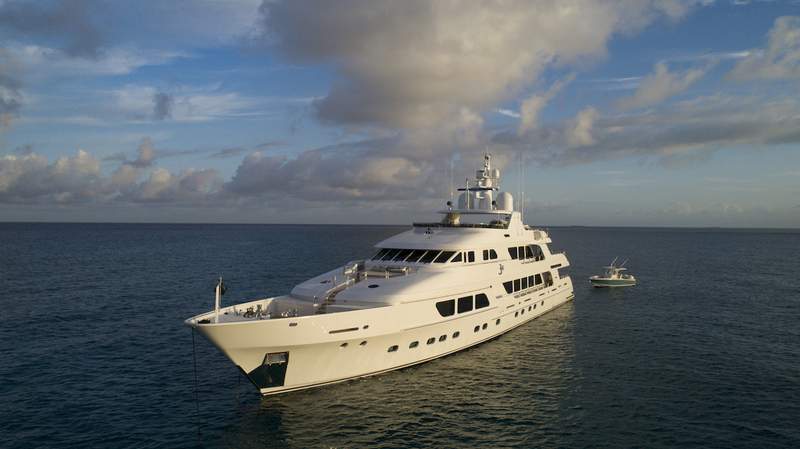 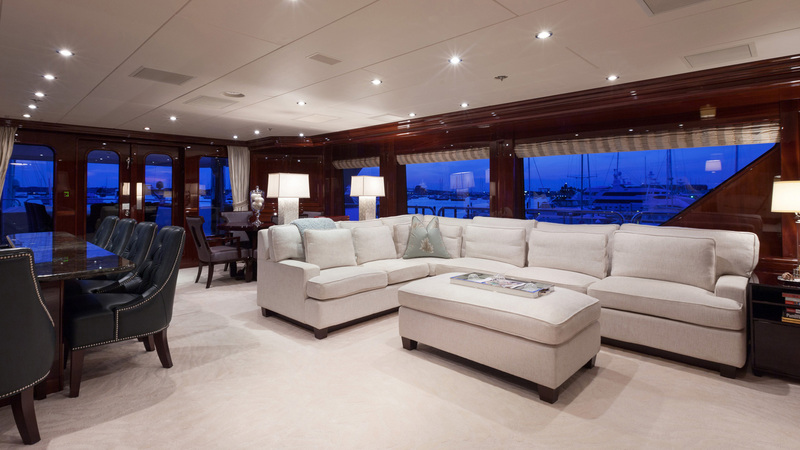 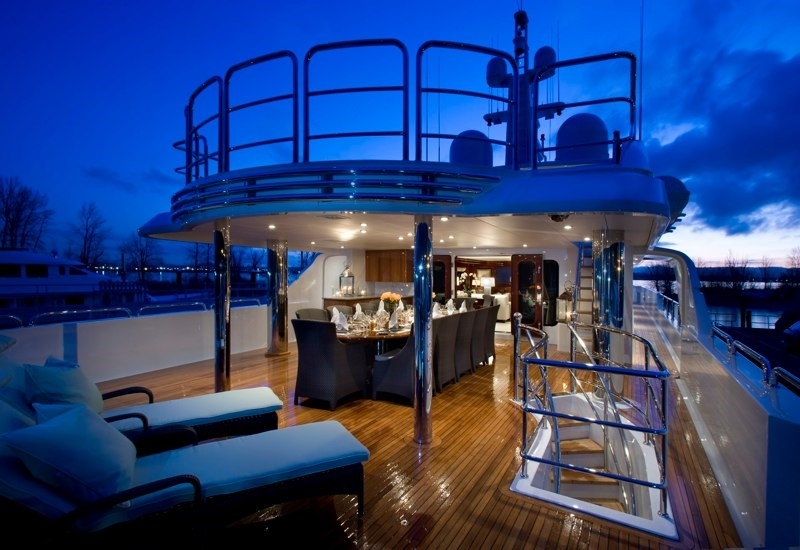 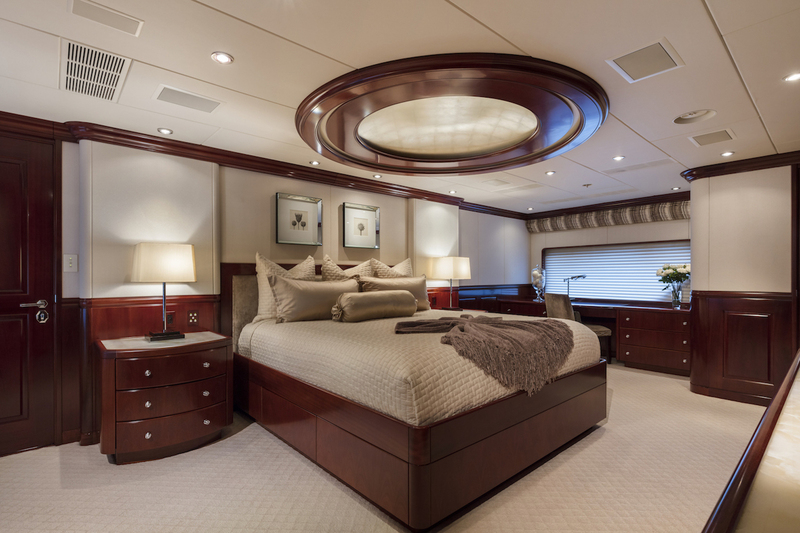 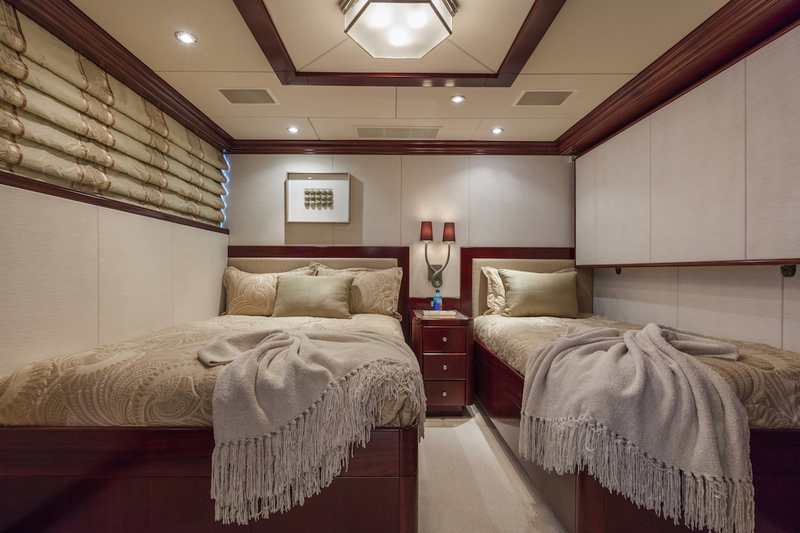 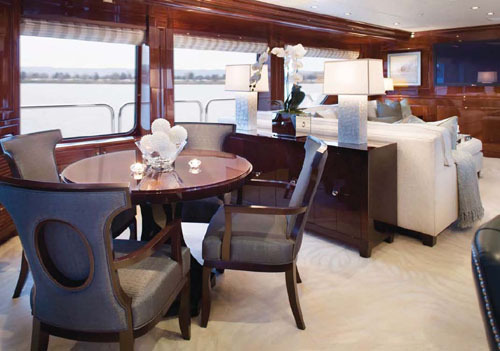 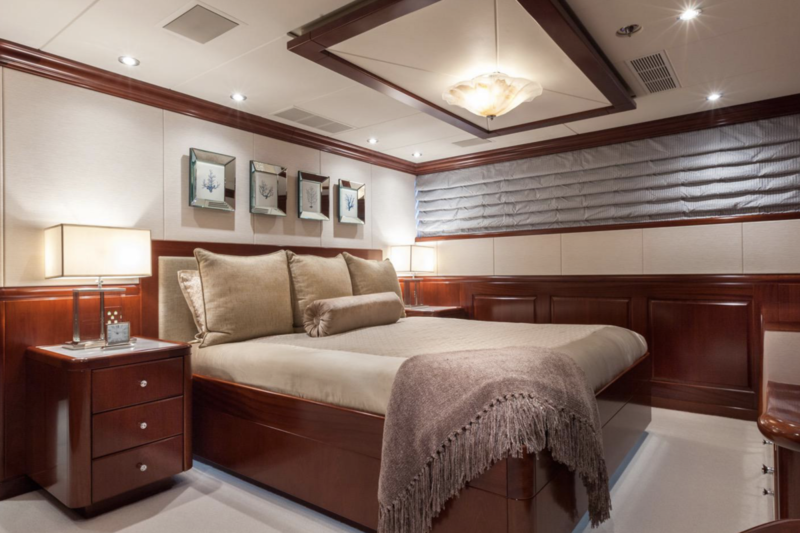 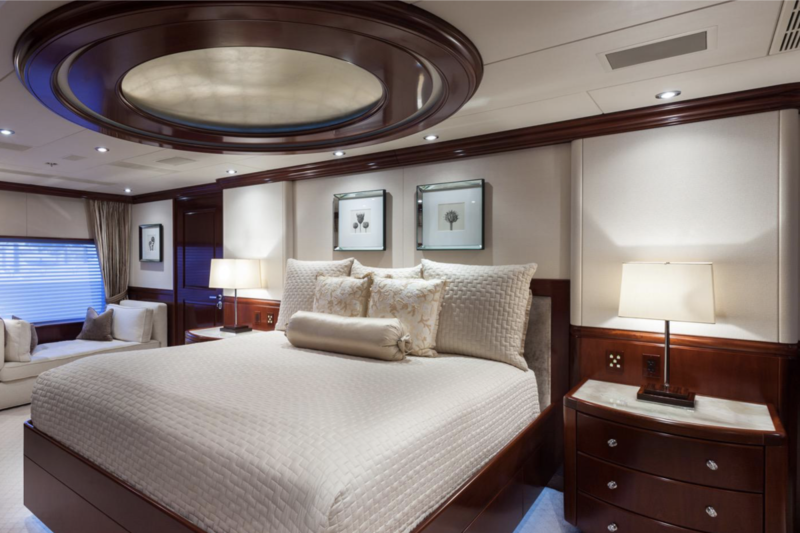 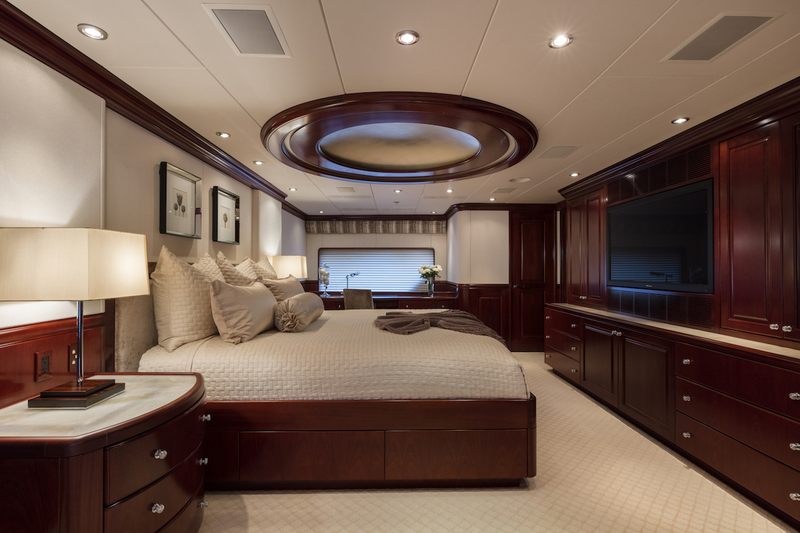 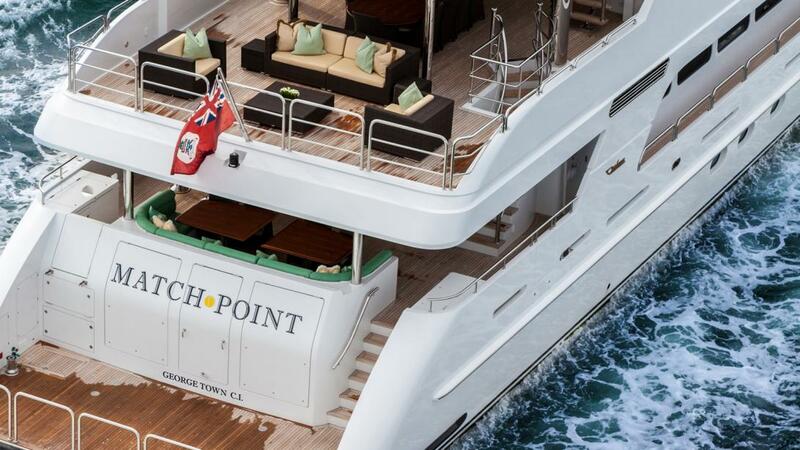 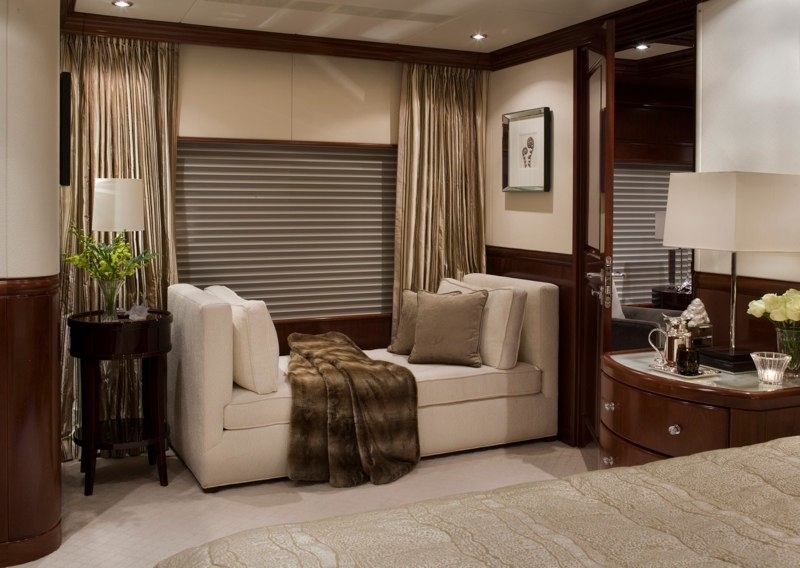 Accommodation on board luxury yacht THREE FORKS is offered across 6 cabins. 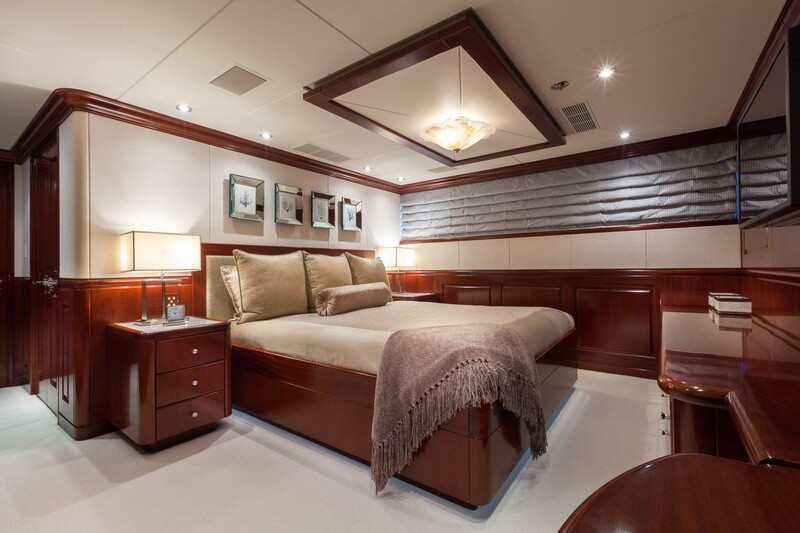 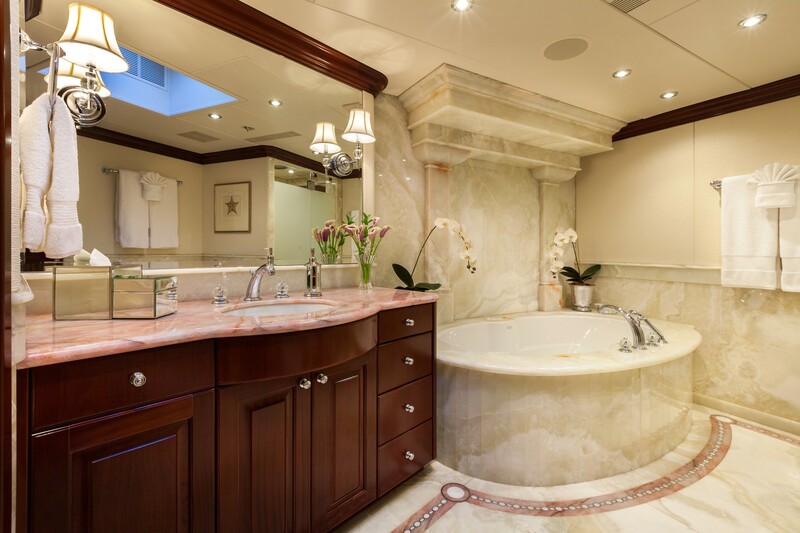 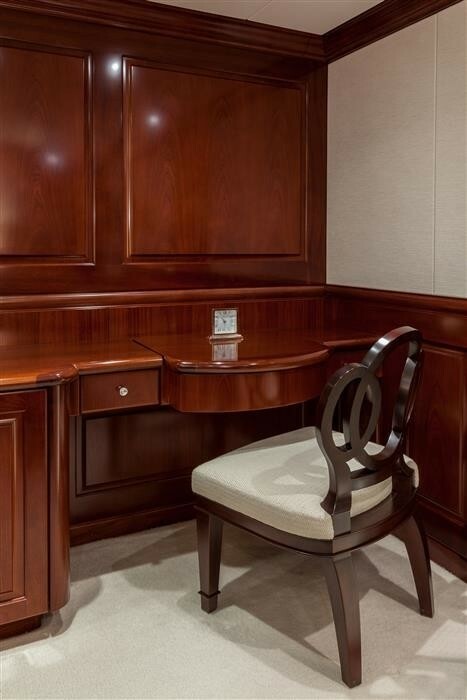 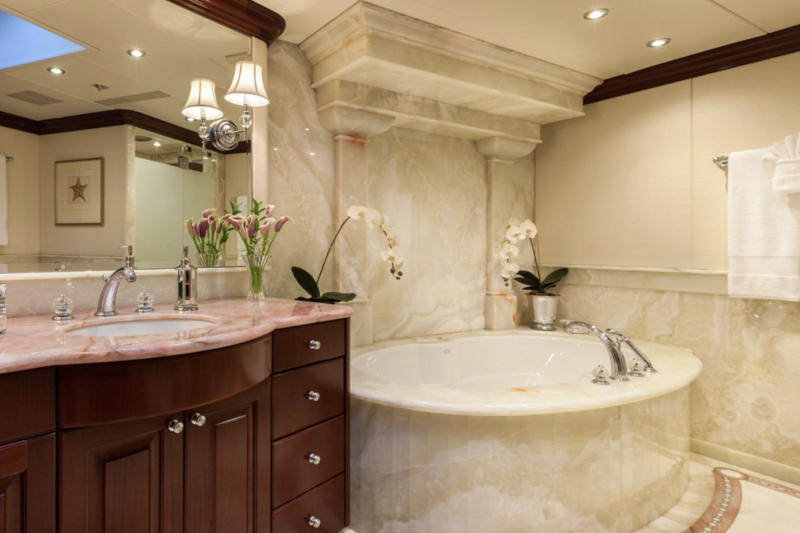 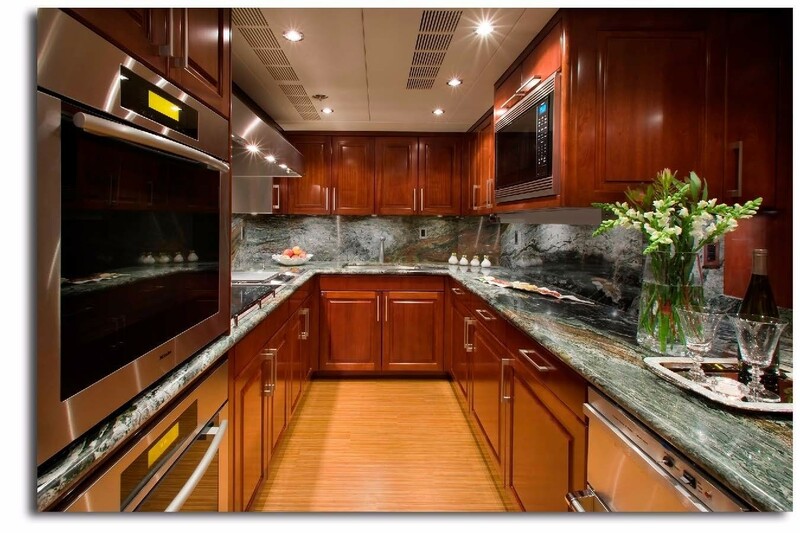 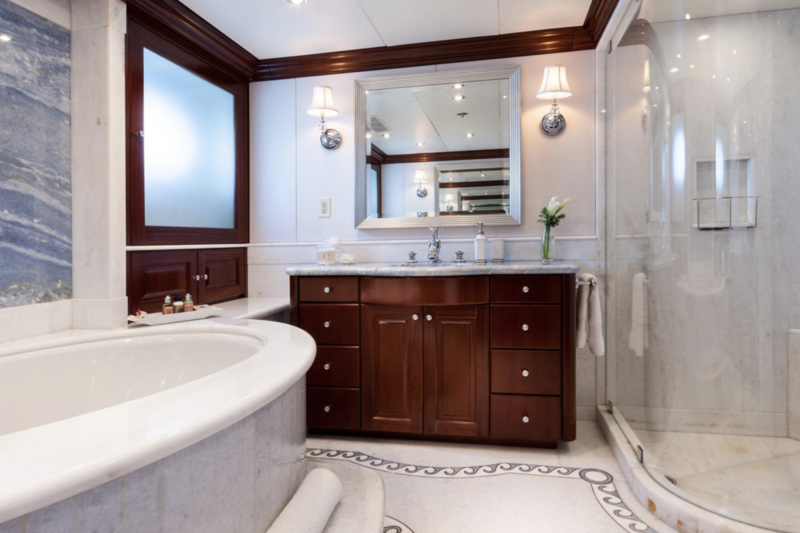 The master cabin is full-width, with his-and-hers bathrooms, shower, and large white onyx stone spa pool tub, as well as two large walk-in closets and an office. 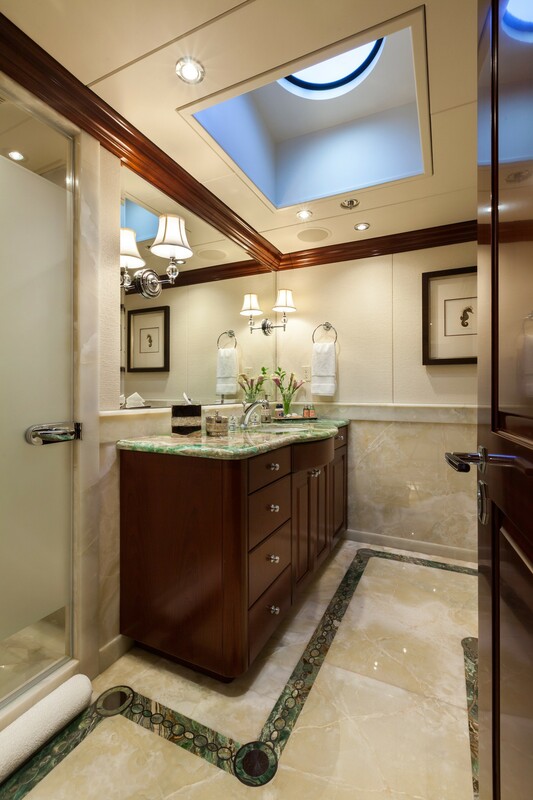 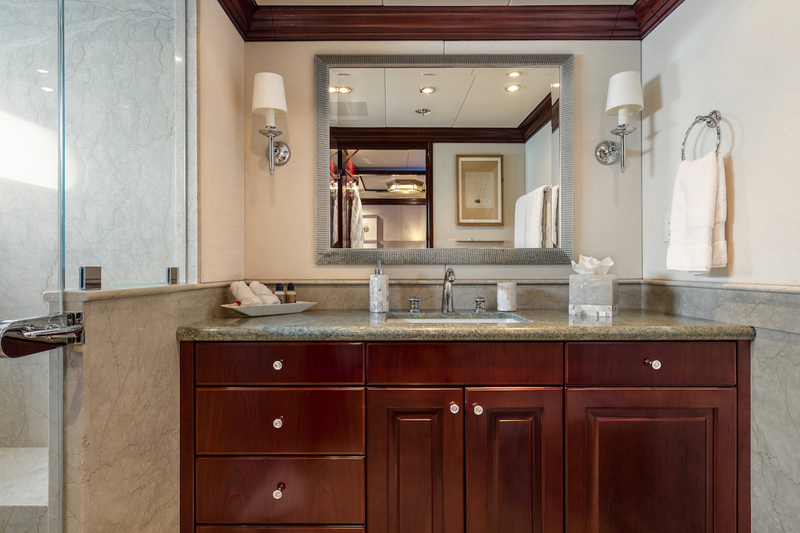 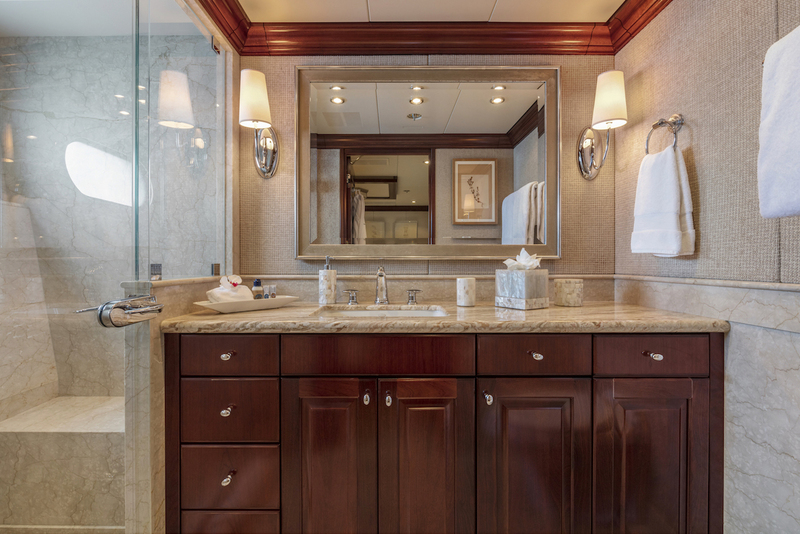 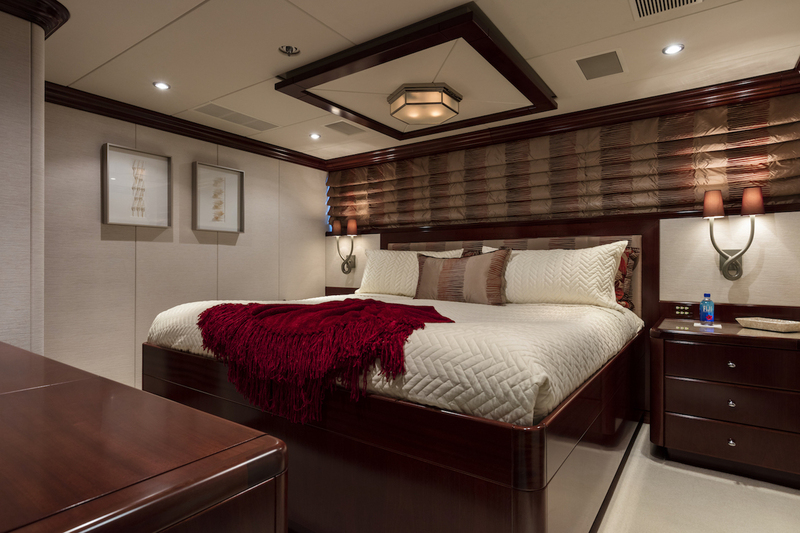 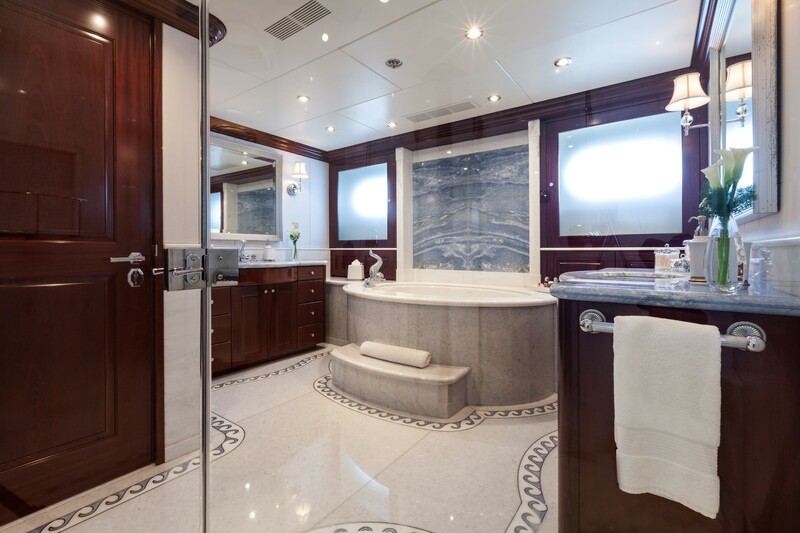 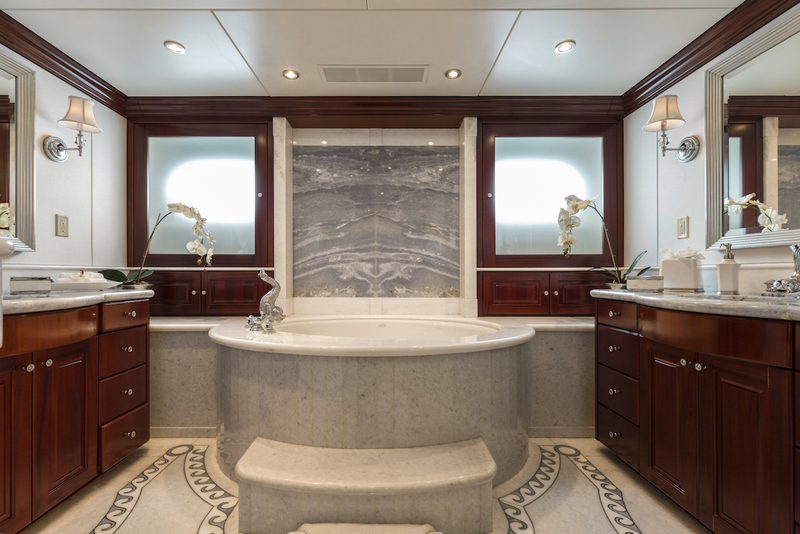 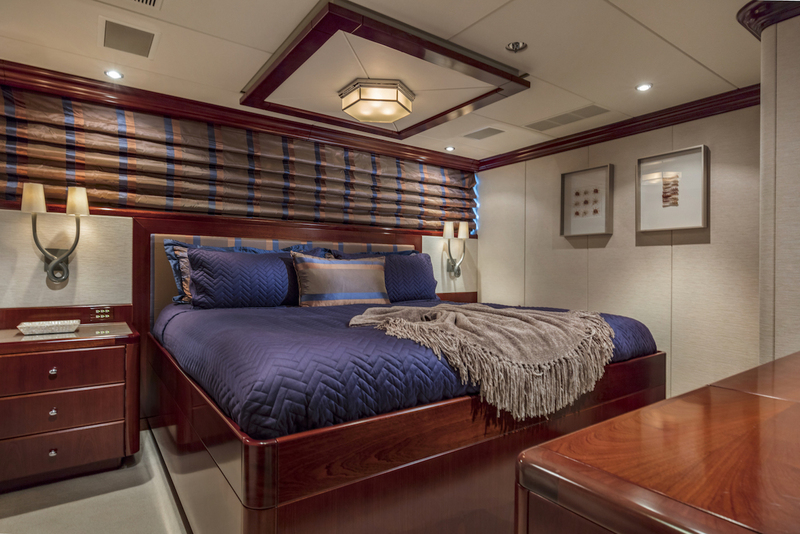 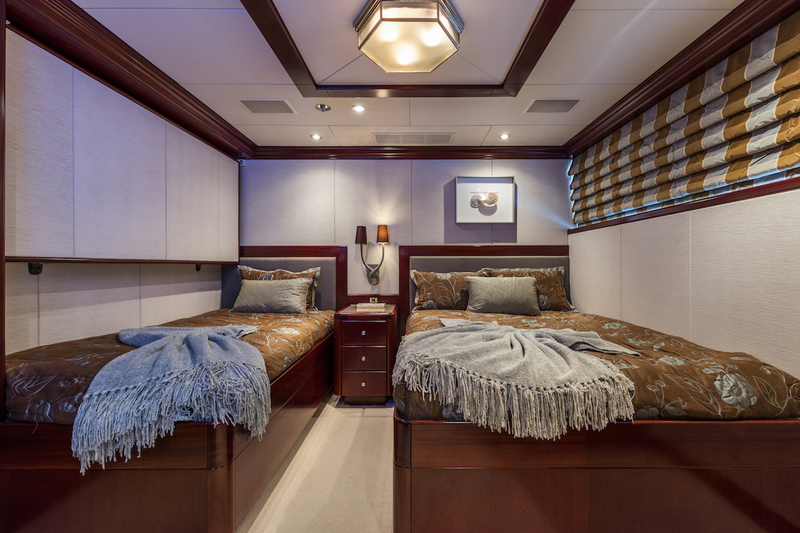 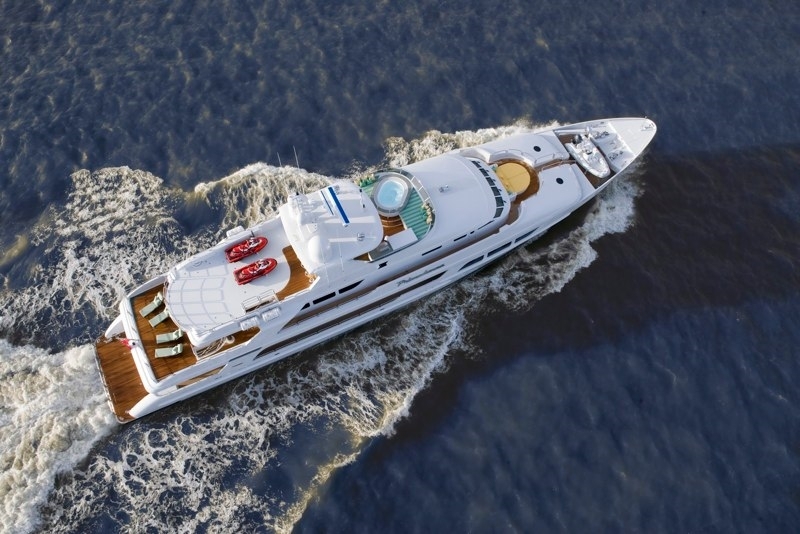 Another full-beam cabin, VIP, has an ensuite bathroom with marble shower and spa pool tub. 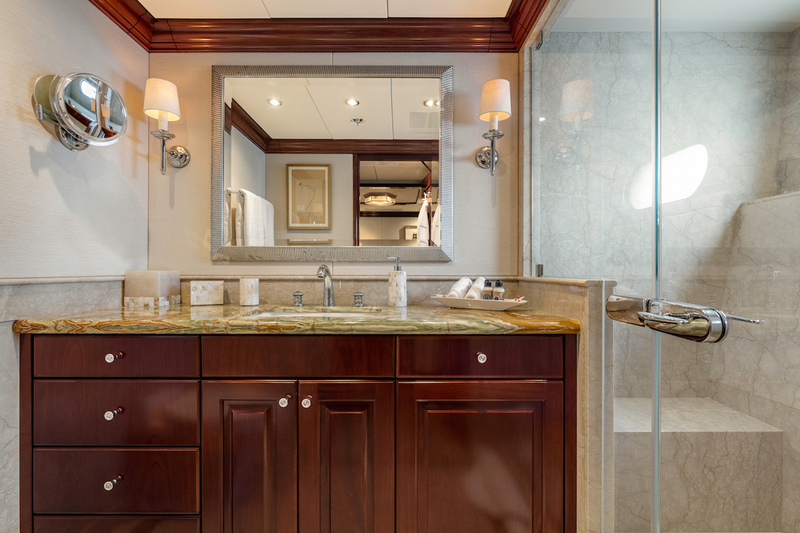 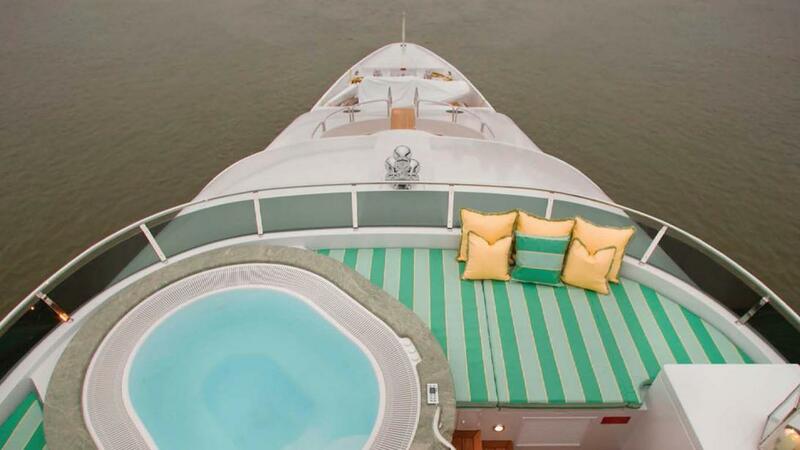 There are also 2 twin and 2 queen cabins, each with its bathroom.